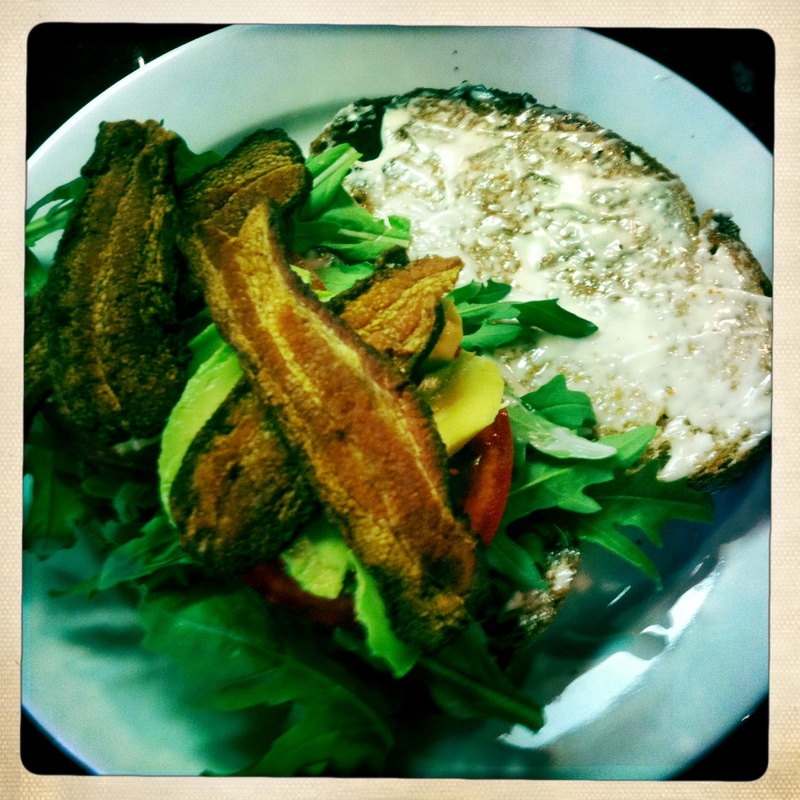 when summer comes around i start craving blt’s. a lot. this is mostly because the tomatoes are so damn delicious! today the urge hit hard. unfortunately, i didn’t have any of the ingredients that i needed in my kitchen (with the exception of mayonnaise), so i headed out on my trusty steed to the farmers market at city hall a few blocks from where i live. it’s a pretty small market, so i wasn’t sure i was going to find everything i needed, but i was certain i would at least get tomatoes and lettuce. my preferred green on a blt is arugula, and was lucky enough to find a vendor that was selling it. 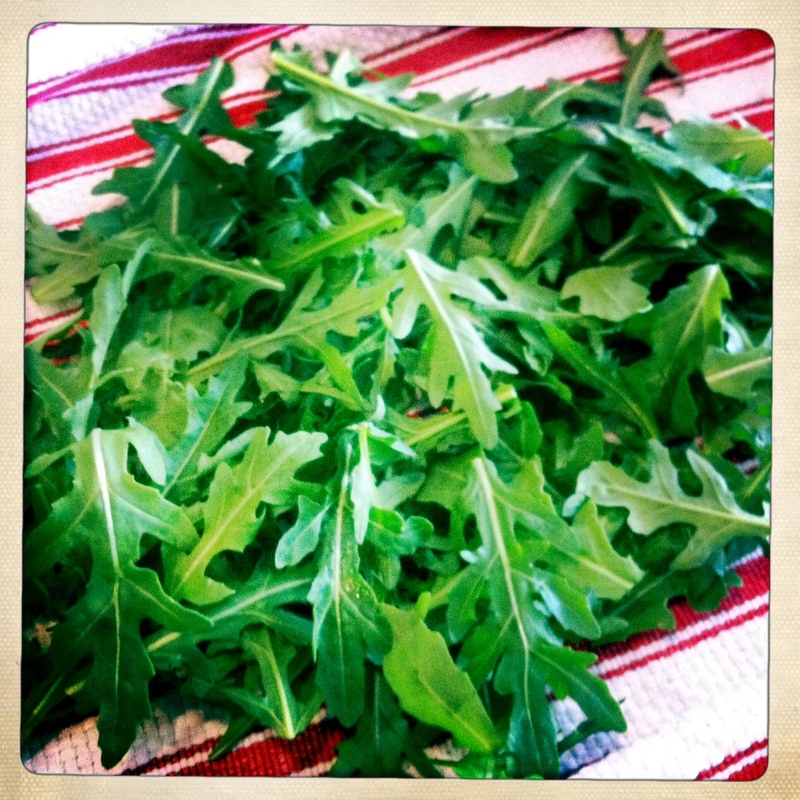 right next to the arugula guy was a stand with beautiful red tomatoes on the vine. 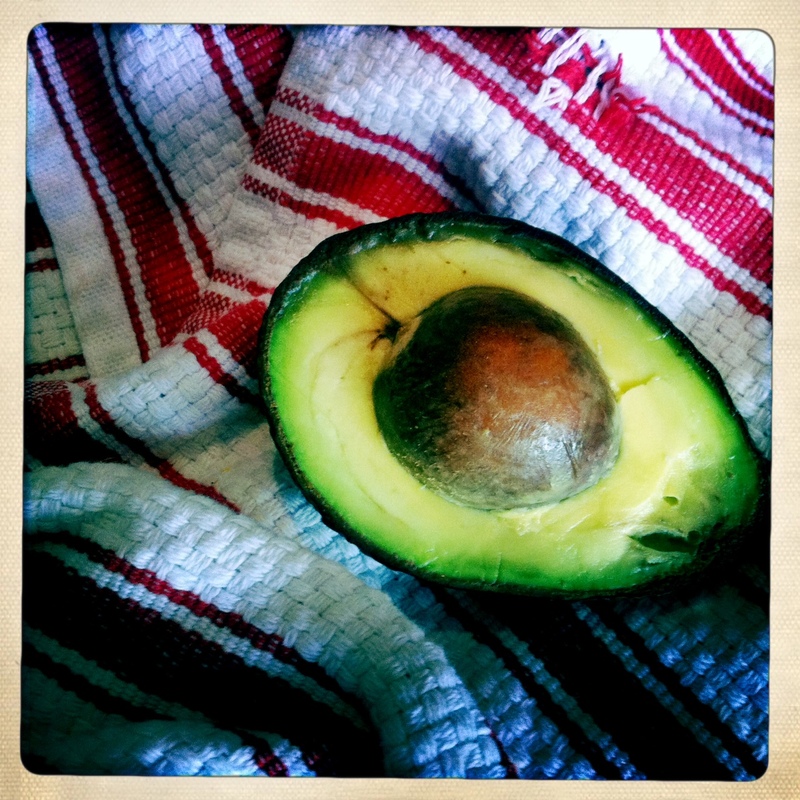 he also had ripe avocados, which aren’t essential to the classic blt, but a nice addition. since there are no meat vendors at this market, and i refuse to go to ralph’s for bacon, i thought i’d check out two bits market a few blocks down spring street. sure enough they had bacon from zoe’s meats, and thankfully, since i forgot to pick up bread at the farmers market, they had fresh loaves as well. with my shopping done, i headed home. fresh bread, sliced and slightly toasted. slather some mayo on the toasted bread. 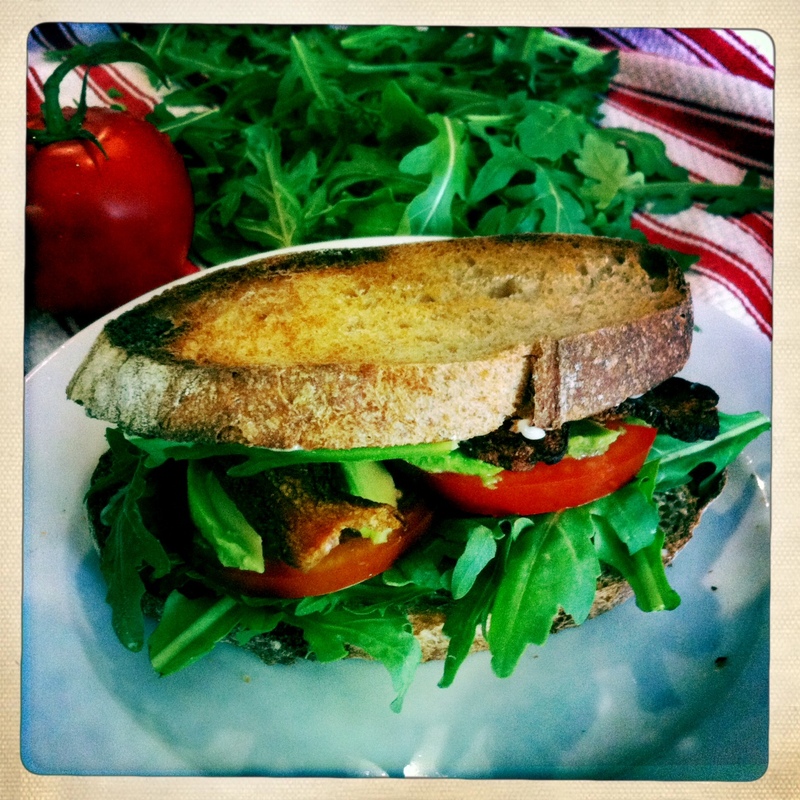 pile on the arugula, layer the tomato slices, and avocado. top with bacon and the other piece of bread. craving very satisfied. hello summer! 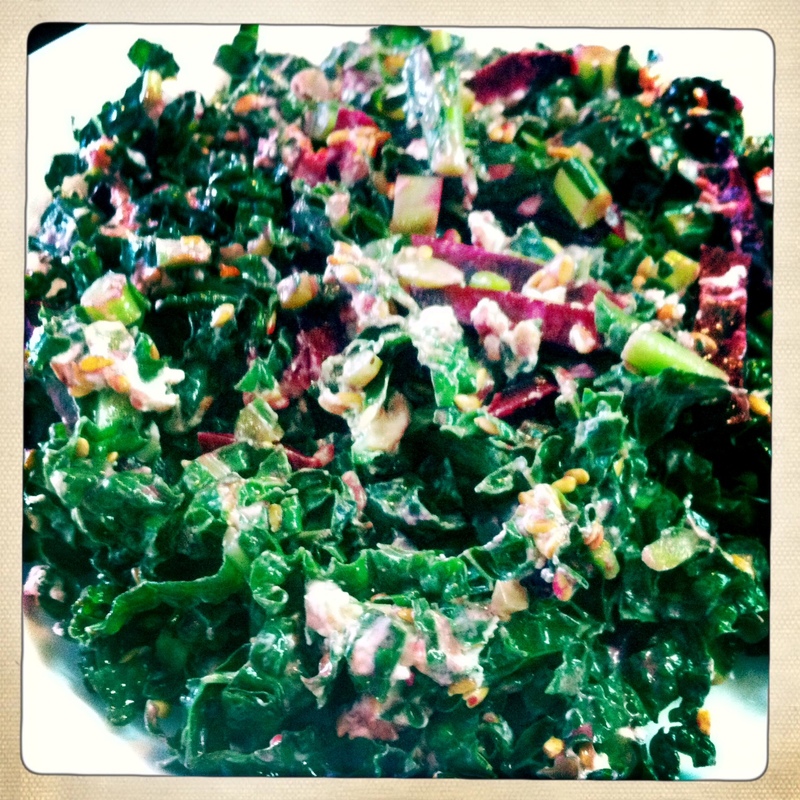 kale is one of the healthiest foods around, so i am continually looking for new ways to eat it. 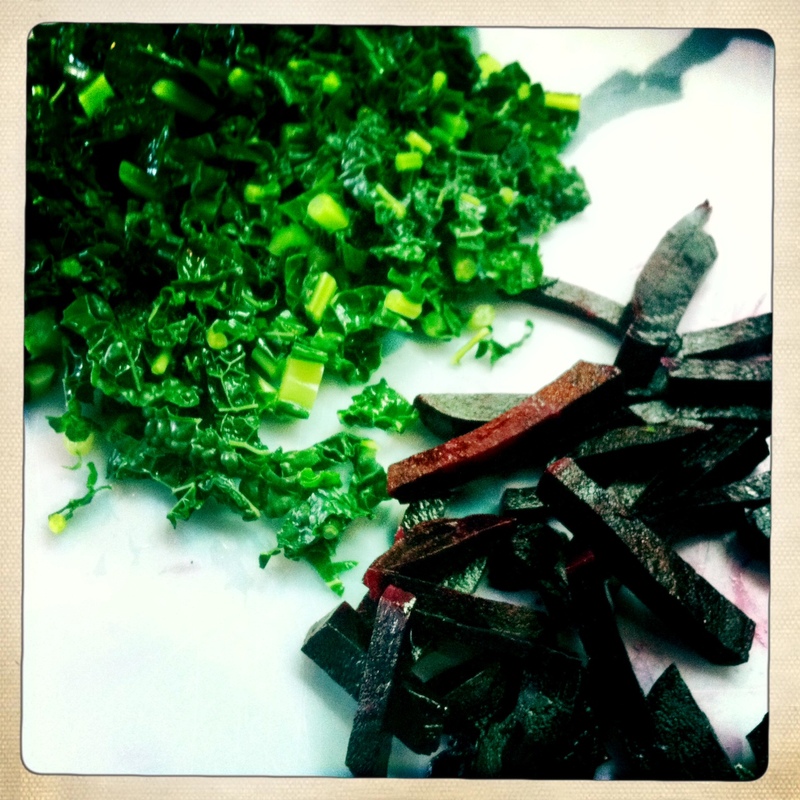 i first made this simple and delicious salad with raw kale, but i found that uncooked was just a bit too tough, and then i read that it actually has better cholesterol lowering benefits if it has been steamed. 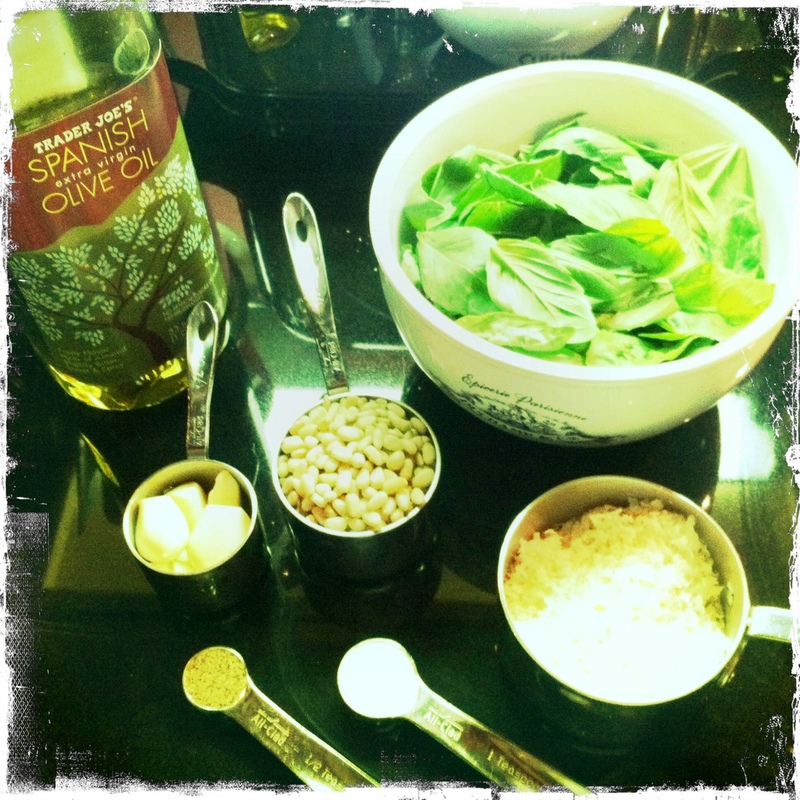 it is a great option for a meatless monday salad for lunch or a side dish for dinner. 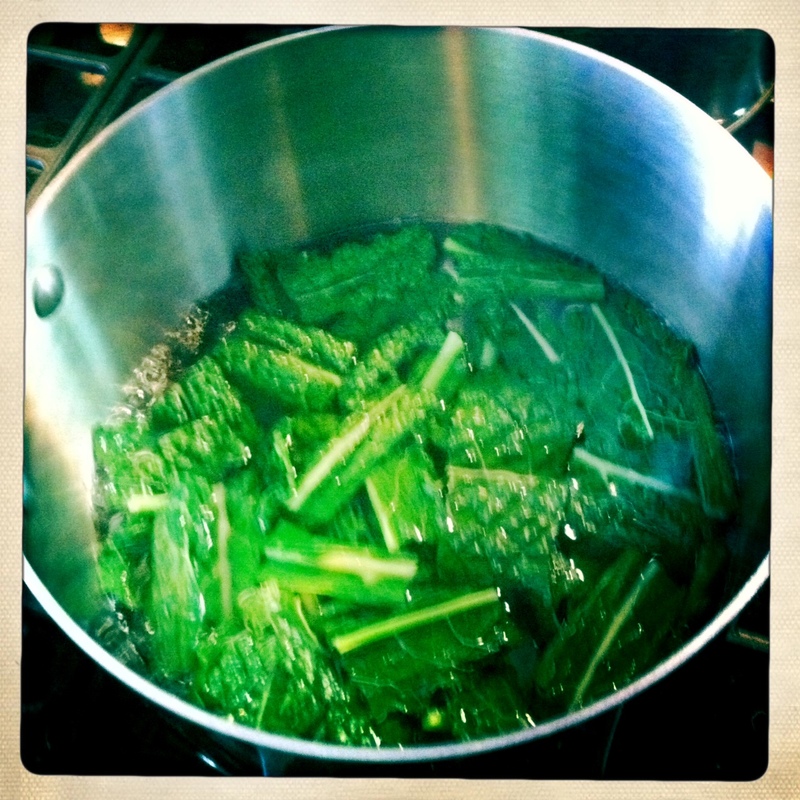 blanch the kale leaves buy putting them in boiling water for 1 minute and then transferring them to ice cold water and submerge for 3-5 minutes. drain really well to get excess water off the leaves. i’d even recommend to put them in a salad spinner or toss them in a towel in order to dry them as much as possible. 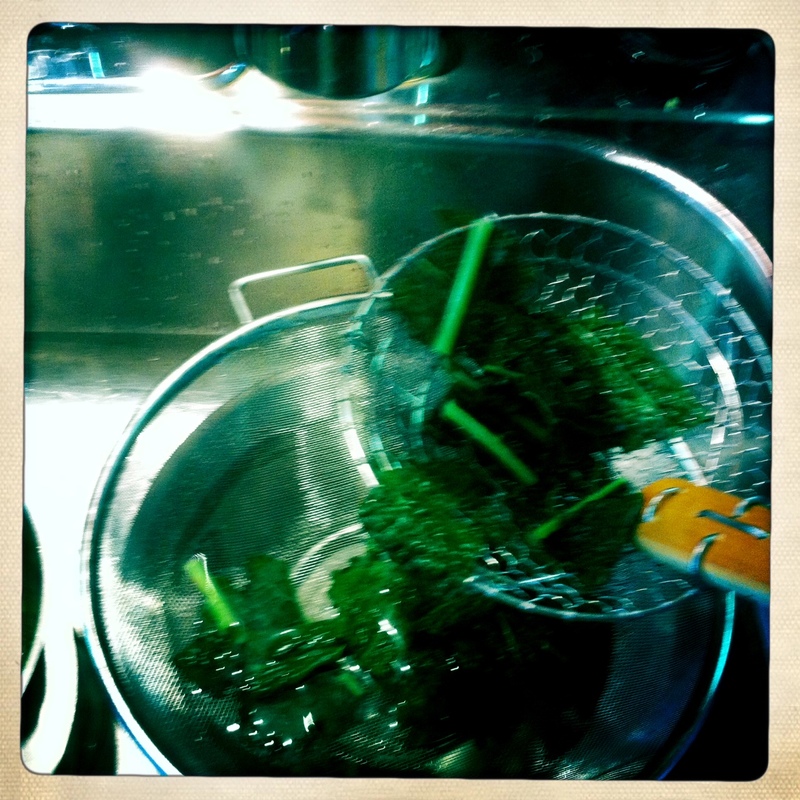 chop kale leaves into small pieces. put the kale in a bowl. add beets, crumbled chevre, and toss in flax seeds. 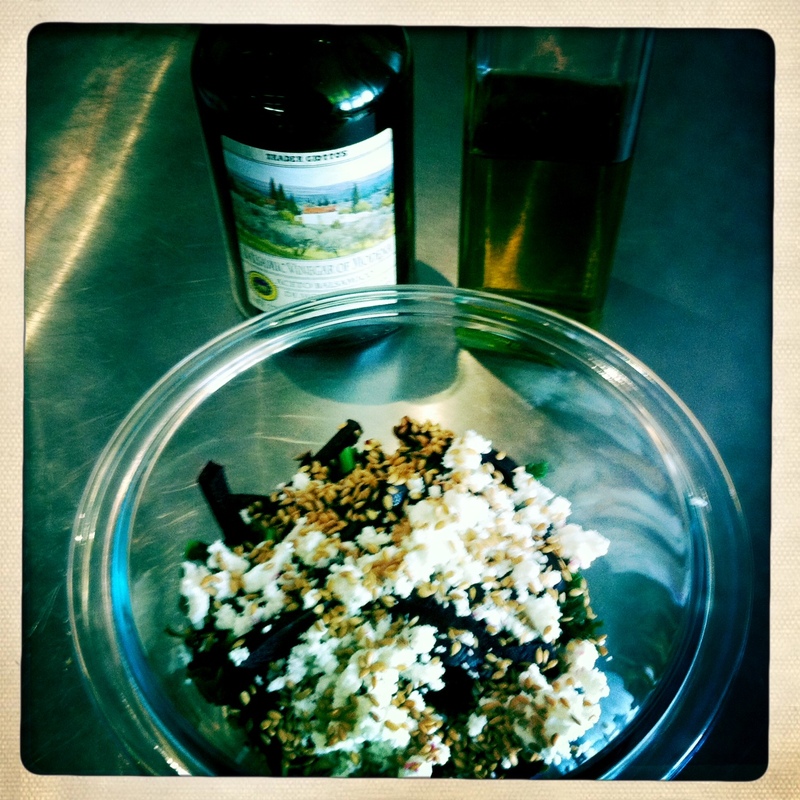 drizzle some olive oil and balsamic, and add black pepper to taste. what’s more american than apple pie, baseball, and fried chicken? as the 4th of july weekend approaches, it dawned on me that i have made many an apple pie, i have seen plenty of baseball games, but i have never made fried chicken. 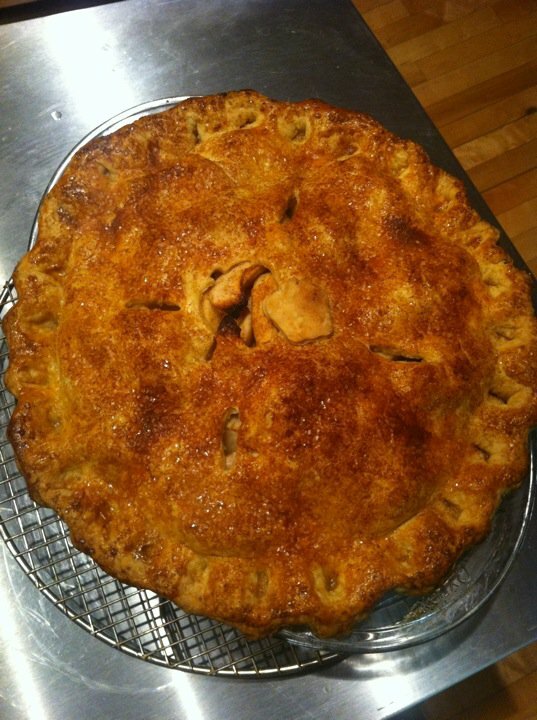 when i made my first apple pie, i thought it would be difficult, and although daunting, it wasn’t hard at all. baseball didn’t appeal to me at one point in my life, mostly because i thought it was uninteresting. growing up in minnesota the twins played in the metrodome, which was frankly a really depressing way to watch a baseball game. there was nothing special about it. when i moved out to los angeles and was introduced to the angels, who play in an outdoor stadium, i was taught about the game, the players, and fell in love with the whole experience. my experience with fried chicken has been minimal. growing up it was a bucket from kentucky fried chicken, and even though i liked the crunchy bits on the outside of the skin, i found the actual skin rubbery, and the meat dry with no flavor. it turned me off. over the years i have eaten fried chicken, but none of it ever surprised me. most of it was so greasy it gave me a stomach ache almost instantly. also, i had never really been a fan of chicken until i started eating organic, pasture raised, free-range birds, and especially now that i have been buying whole chickens from the hollywood and santa monica farmers markets, i am a bit spoiled. 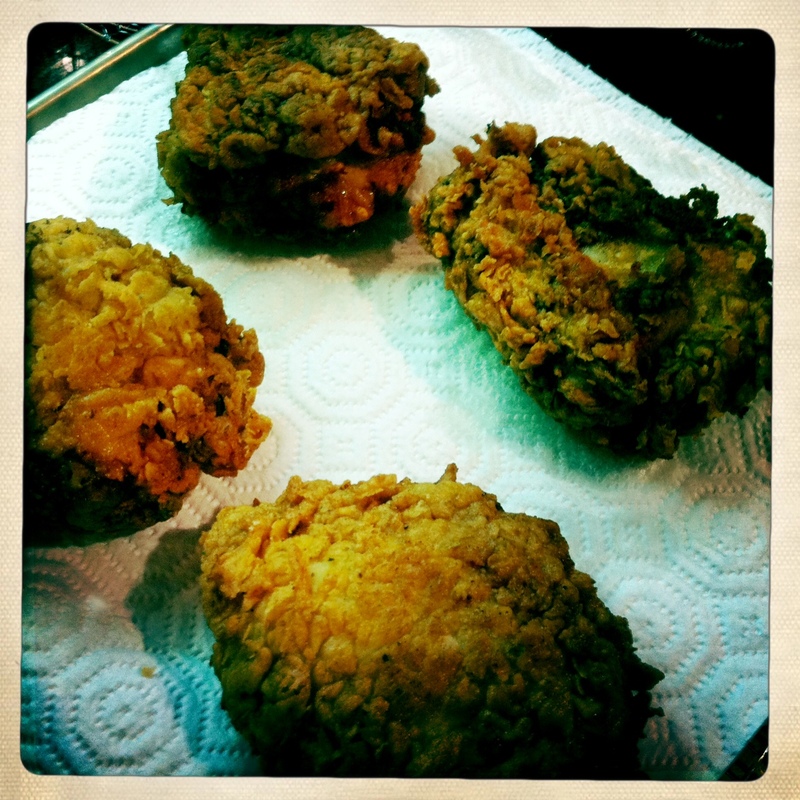 so, i thought maybe if i had a good chicken, quality ingredients, and a simple recipe, why wouldn’t i like fried chicken? you will need a large dutch oven (at least 7 1/4 quart) and an oil/candy thermometer to make this recipe easier. 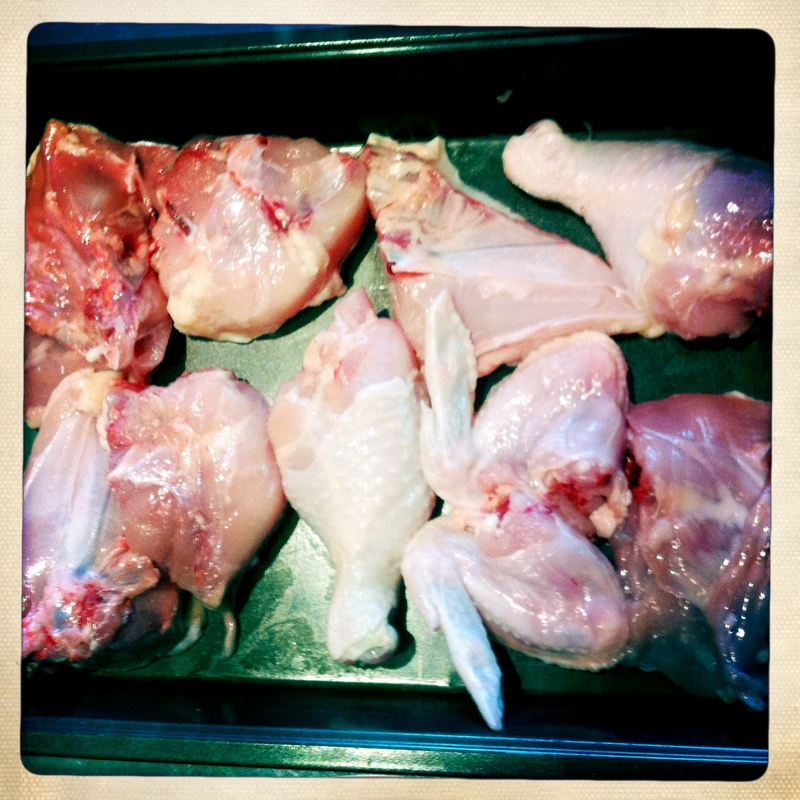 you will need to cut up your chicken into 8 pieces, and then half the chicken breasts to make 10 pieces total. this will make them all roughly the same size. 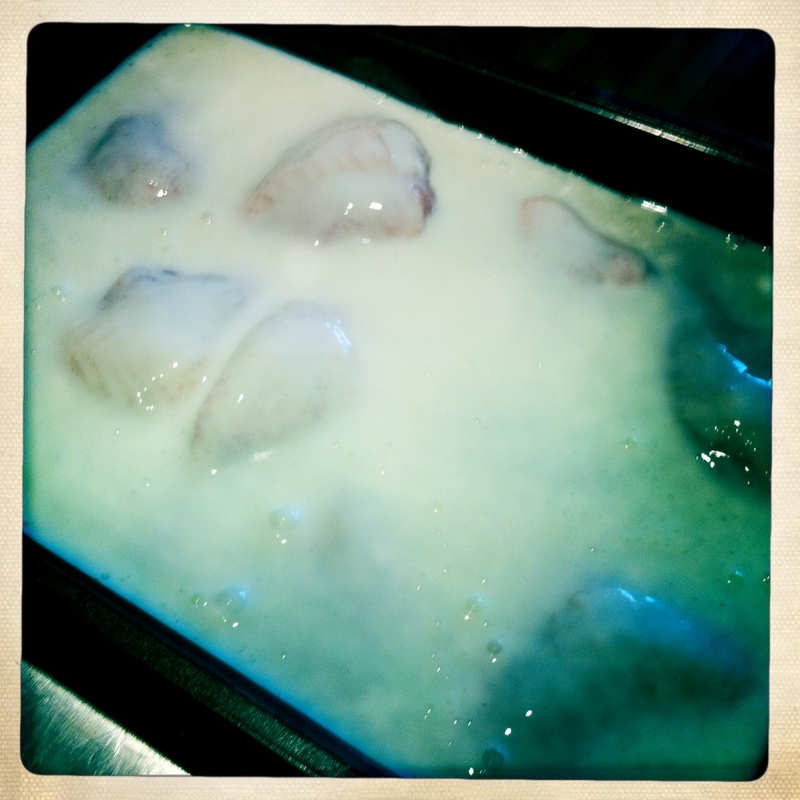 place them skin side down in a baking pan that is deep enough to submerge the chicken pieces. 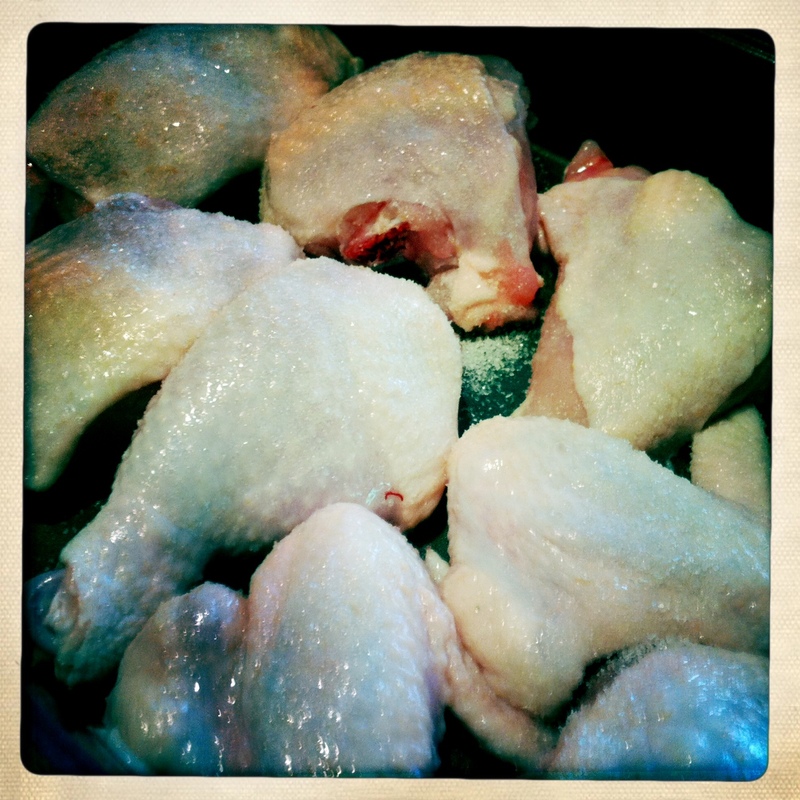 use 1/2 tbsp salt and sprinkle over the chicken, then flip and sprinkle another 1/2 tbsp over the skin. pour the buttermilk (minus the 1/2 cup that you set aside) over the chicken. cover with plastic wrap and refrigerate for 1 hour. 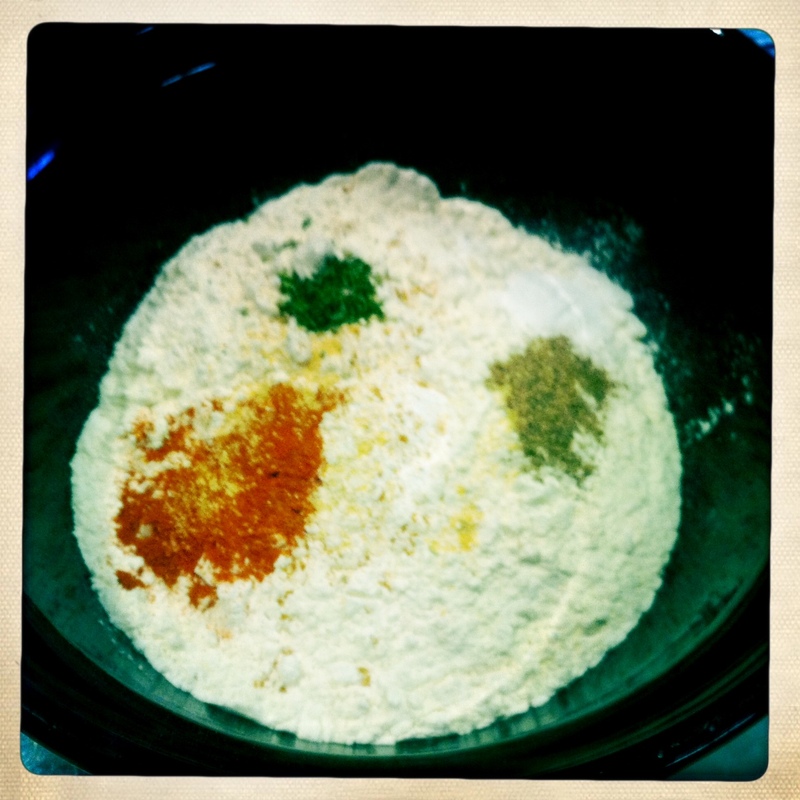 whisk flour, baking powder, 1 tsp salt, thyme, paprika, pepper, cayenne, and garlic powder together in a large bowl. 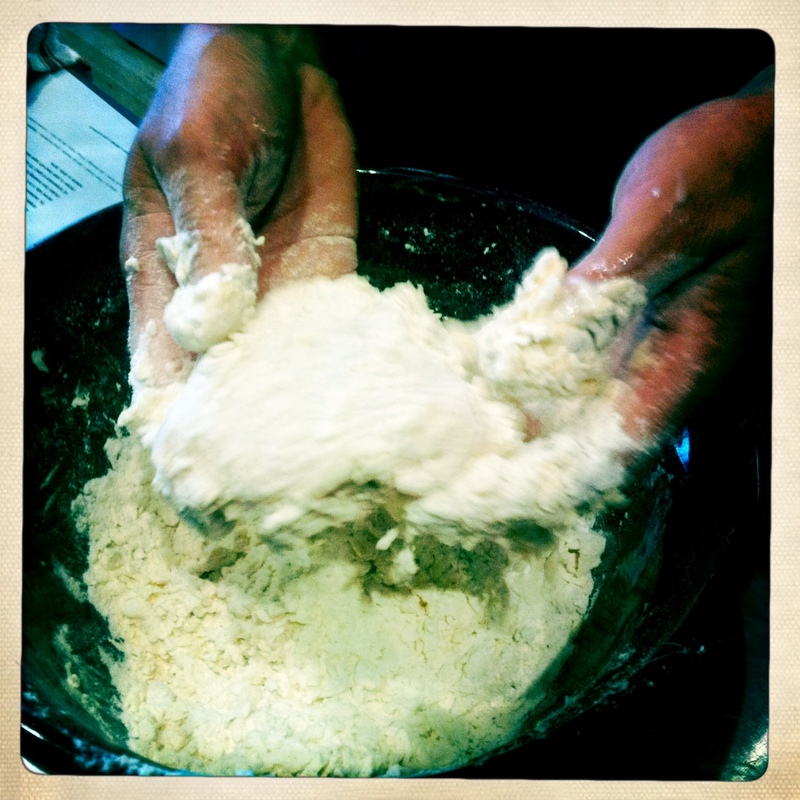 add the 1/2 cup of buttermilk that was set aside, tbsp by tbsp, and mix together with your fingers until it resembles coarse sand. 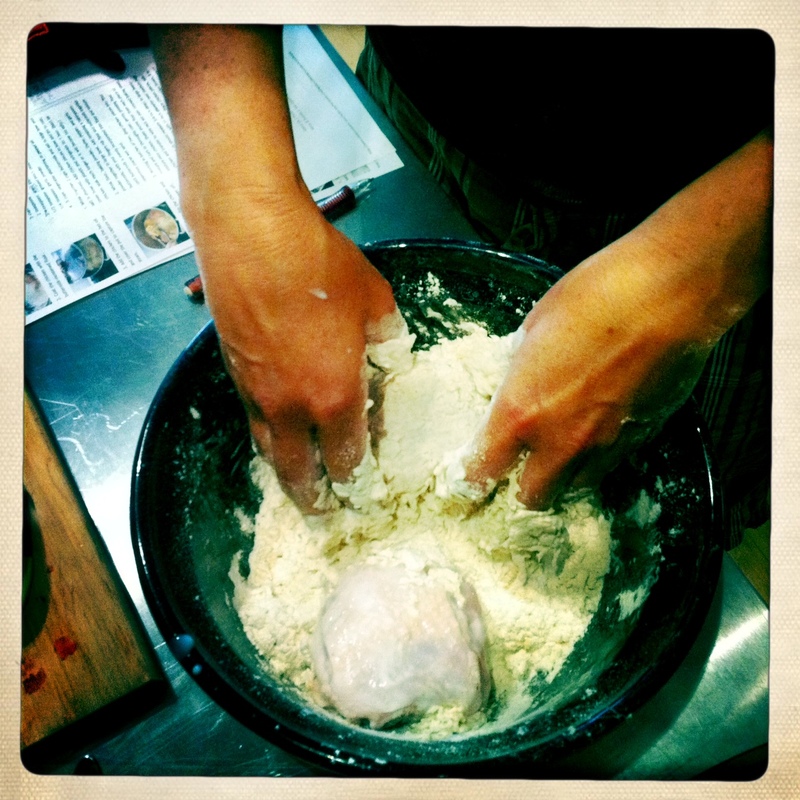 toss each piece of chicken in the flour mixture to coat, gently pressing in order to get as much to stick as possible. don’t worry if it seems clumpy. transfer to a rimmed baking sheet with a wire rack skin side up. heat the peanut oil in a large dutch oven until it reaches 375º using a oil/candy thermometer. you will most likely have to do 2 batches, so start with the bigger pieces first like the thicker breast halves and thighs. the 2nd batch would be the legs, wings and the thinner breast halves. 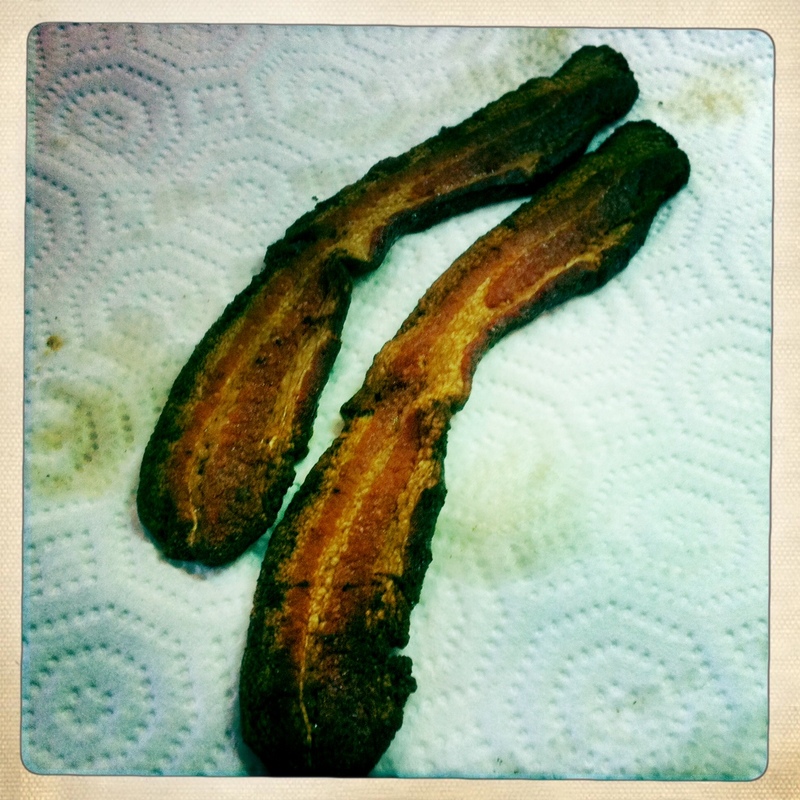 the 2nd batch seems to cook quicker, so keep an eye on them, as they will be done earlier. place pieces skin side down in the oil with tongs and cover. 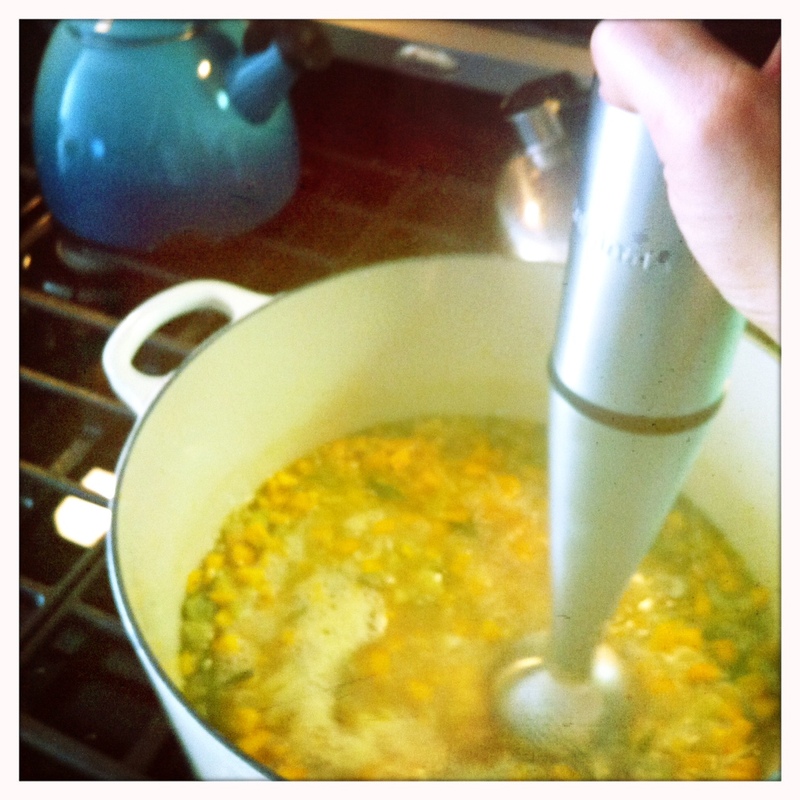 if using a thermometer that clips on the side, the lid will be slightly cracked, which is fine. 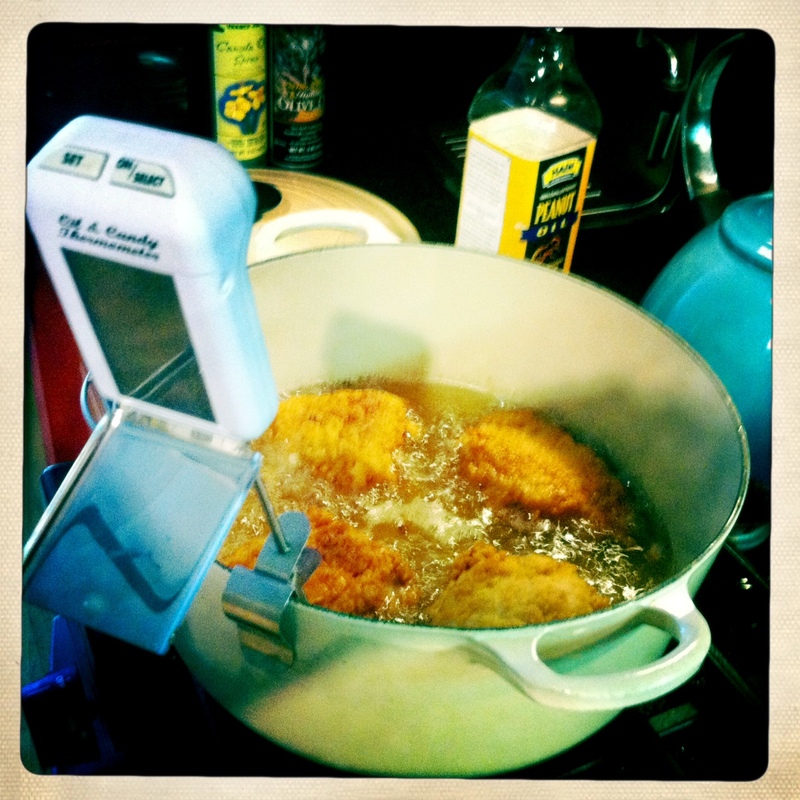 at about 4 minutes (the oil should register about 300º, adjust heat/burner as needed to keep that temperature) uncover and check if the skin side is golden brown, letting them cook up to 3-4 minutes longer if not, keeping them uncovered. turn them over and cook an additional 6-8 minutes until also golden brown. once all sides are golden i let them get to an even deeper brown by flipping them back and forth a couple more minutes on each side, continually watching. place paper towels on the wire rack on the rimmed baking sheet you used before. using tongs transfer to drain and let stand for 5 minutes. in the mean time cook the 2nd batch. heat the same oil back up to 375º and place the remaining pieces in the oil. cover, check and uncover after about 4 minutes, flipping and keeping the oil at about 300º until all sides are equally brown. since these are smaller pieces and not as thick they will cook quicker, so keep an eye on them. transfer to the paper towels and let stand 5 minutes. you can keep the first batch warming in the oven at 200º if need be. 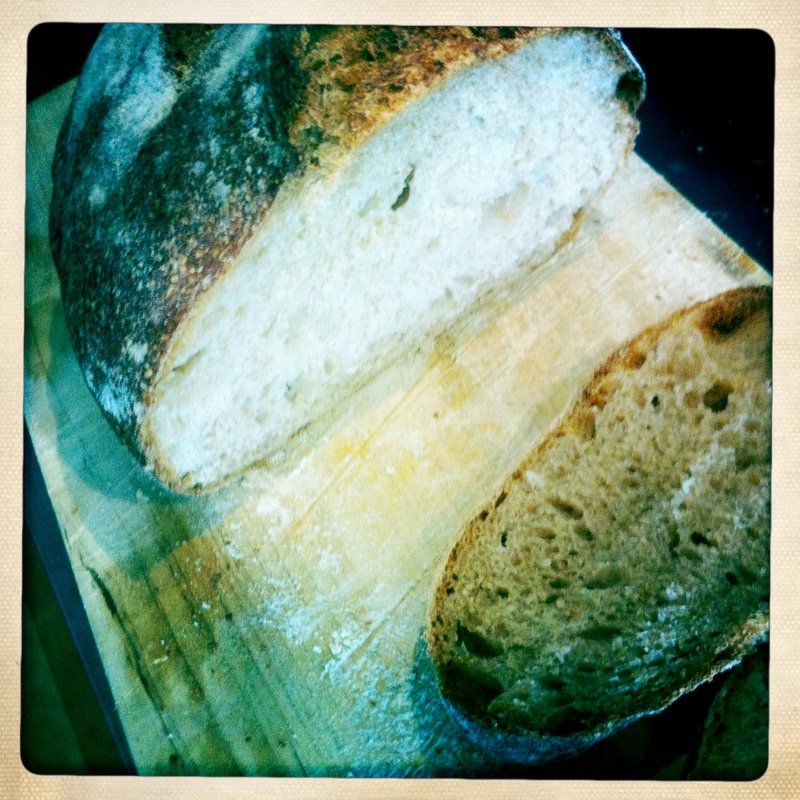 not only were the crunchy bits on the outside perfect, the skin itself was was crisp, and clung to the bits. the meat was extremely moist and not greasy. even the wing, which tends to be the greasiest and most over cooked, had delicious juicy meat. 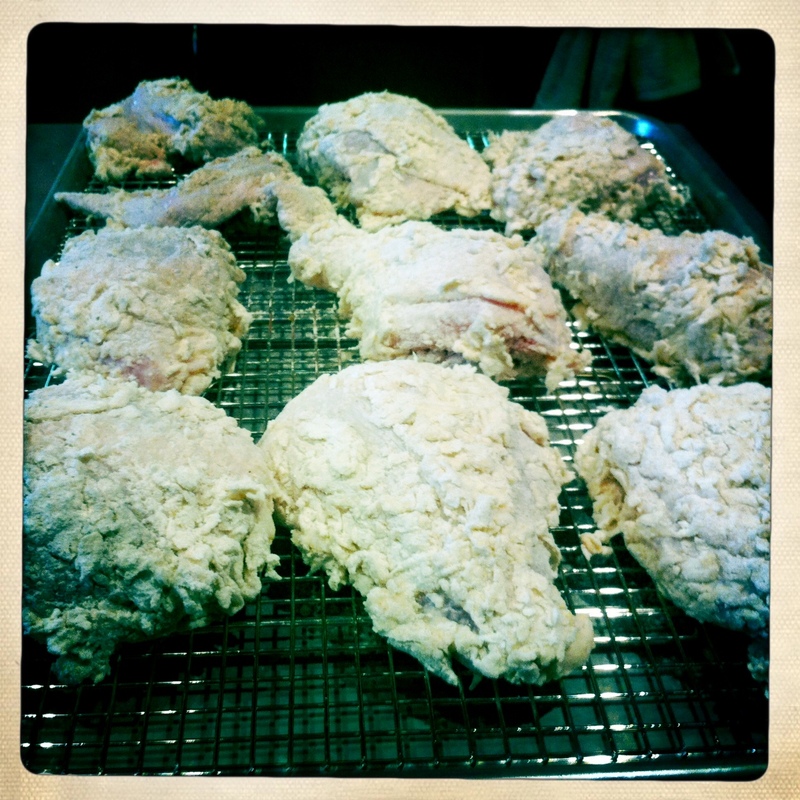 to be honest, for the first time making fried chicken, i was thrilled. i guess like apple pie and baseball, fried chicken is not only an american tradition, it is easy and wonderful if done right. 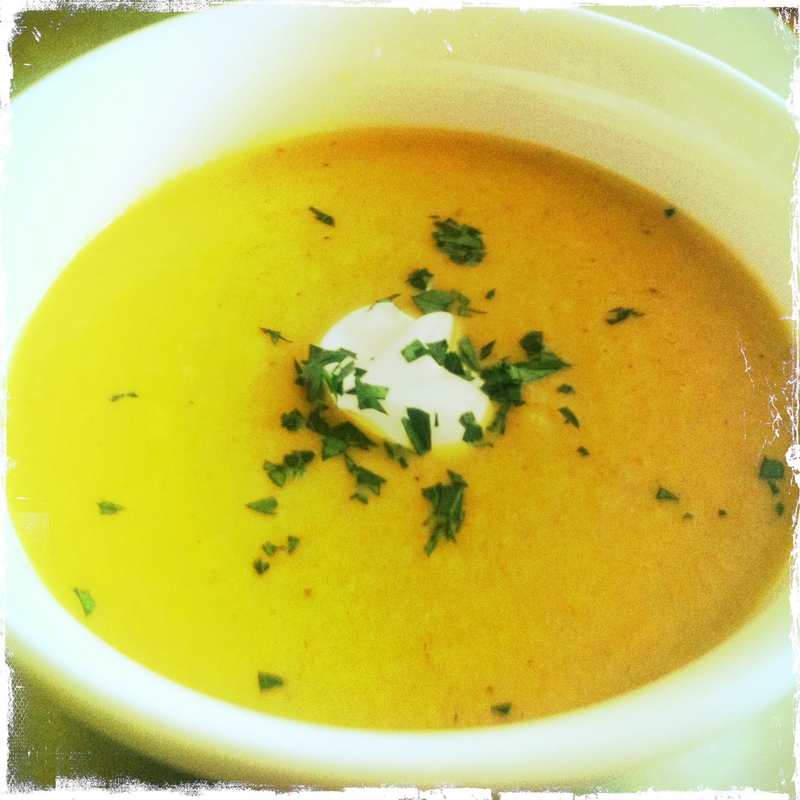 what to do with leftover mashed potatoes? 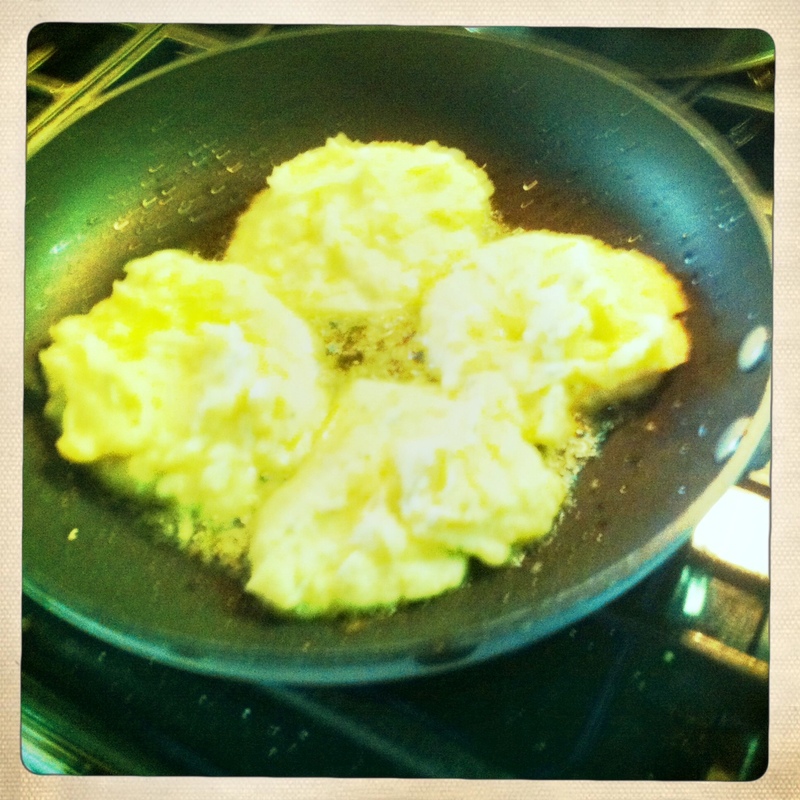 want potatoes with your morning eggs, but don’t want to go through the process of making hashbrowns? 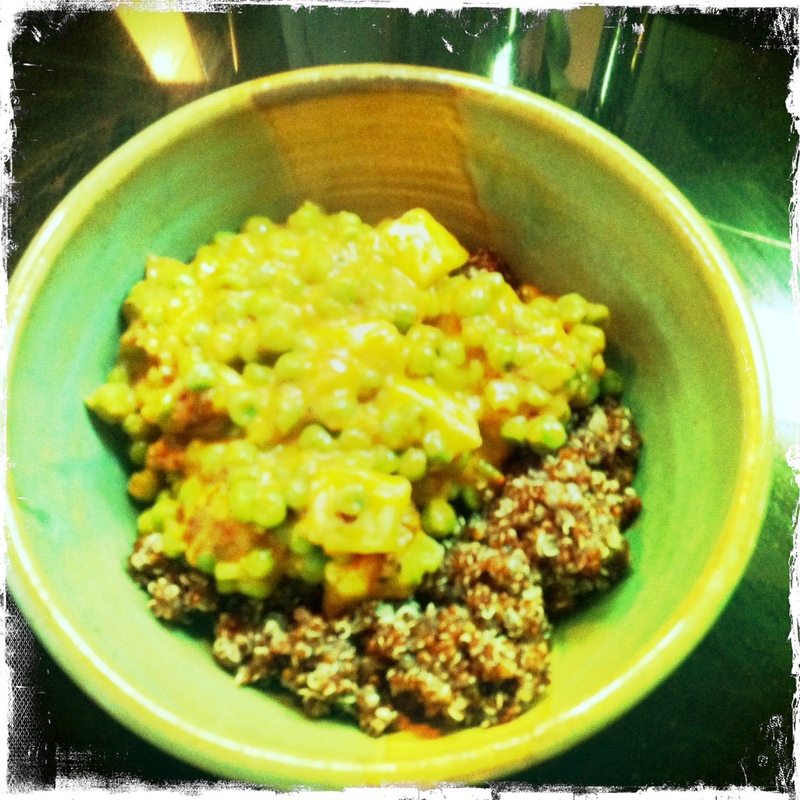 looking for a breakfast option for meatless monday? this is extremely easy, and adjustable to how much and what you have on hand. 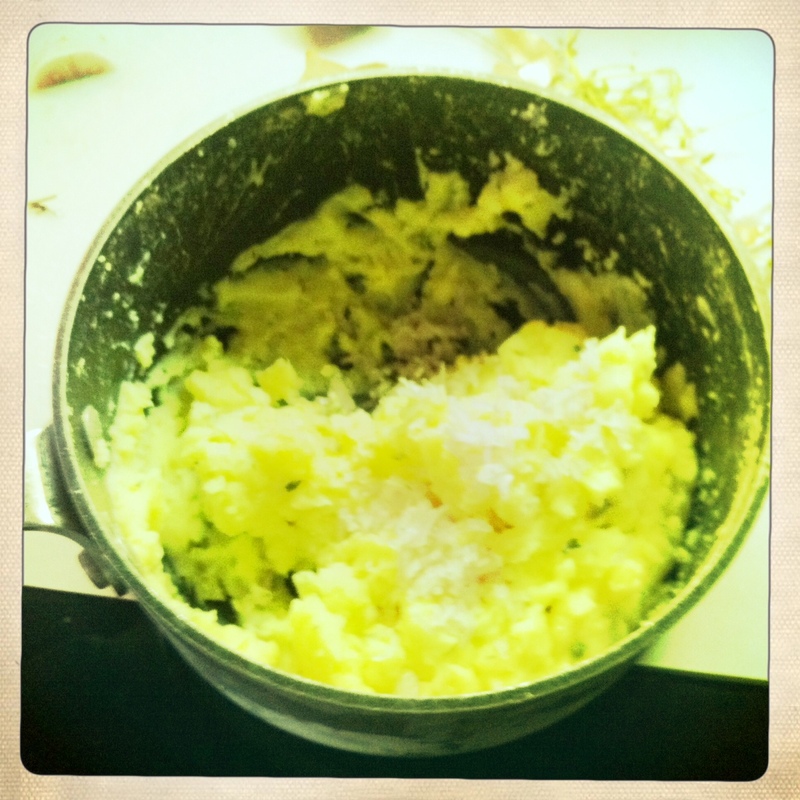 if you don’t have leftover mashed potatoes, simply peel and boil potatoes until soft, and mash. 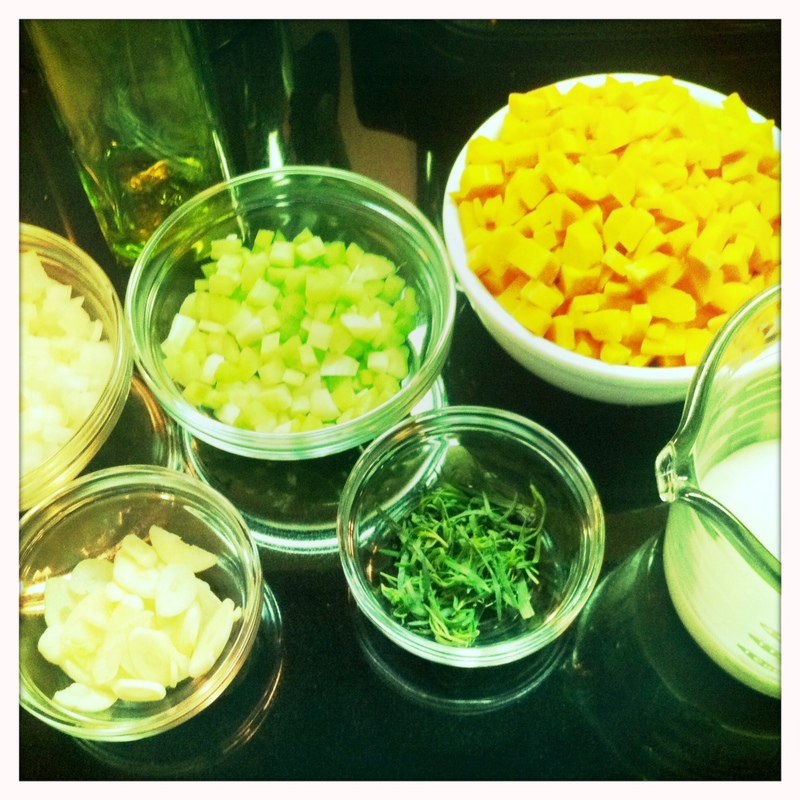 stir in shallot, milk, and thyme. heat oil over medium high heat. add large dollops to the pan, careful not to splash oil, and flatten out a bit. fry for about 4 minutes, but keep an eye on them, because just like regular pancakes, they can go from golden brown to burnt quickly. flip them over and fry a few minutes longer until the other side is brown as well. 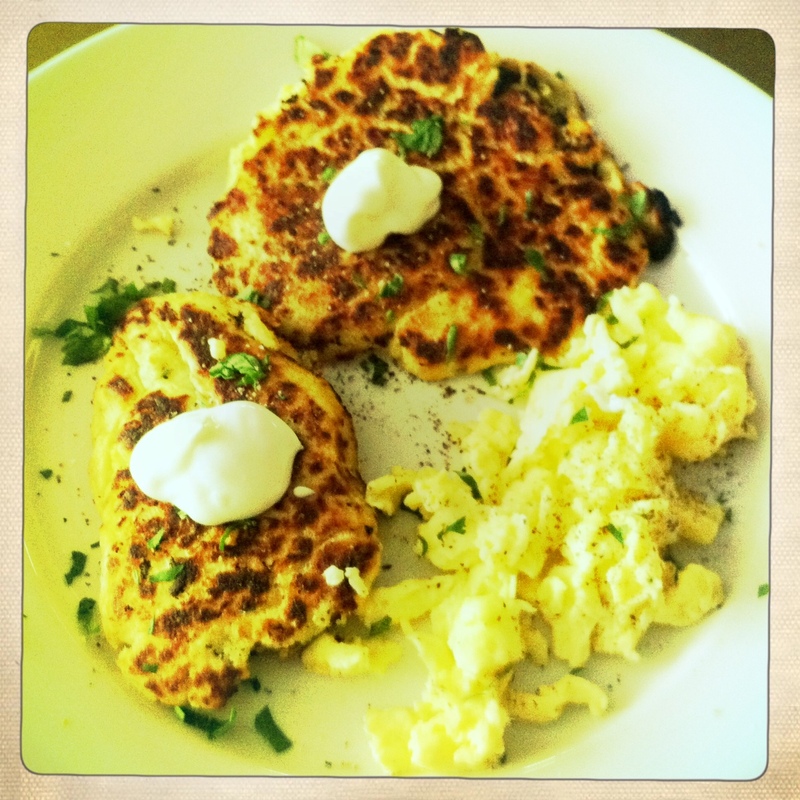 i served them with scrambled eggs and garnished them with sour cream and parsley. salsa, hot sauce, or even apple sauce are good options too. heat oil over medium heat. 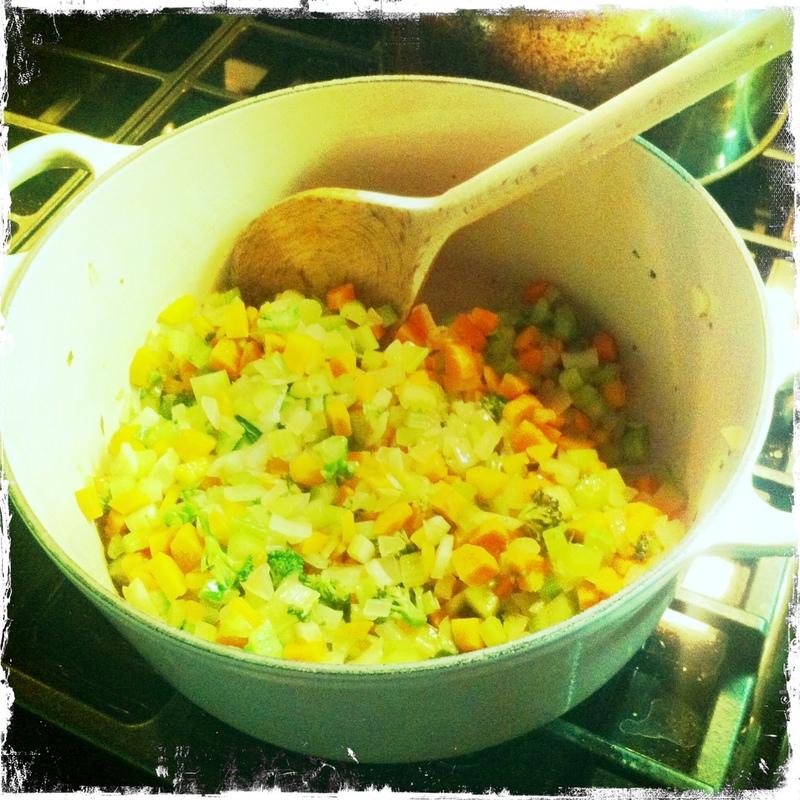 sauté the mirepoix of veggies, broccoli and 1 tsp salt for about 15 minutes. 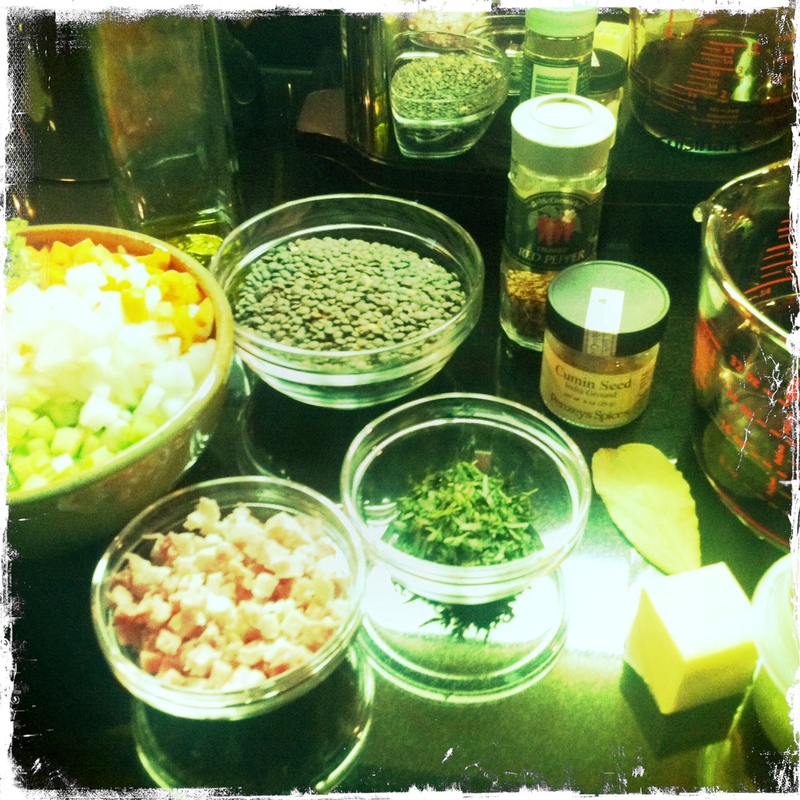 stir in pancetta, tarragon, cumin, bay leaf, red pepper flakes, and black pepper and sauté about 5 minutes. 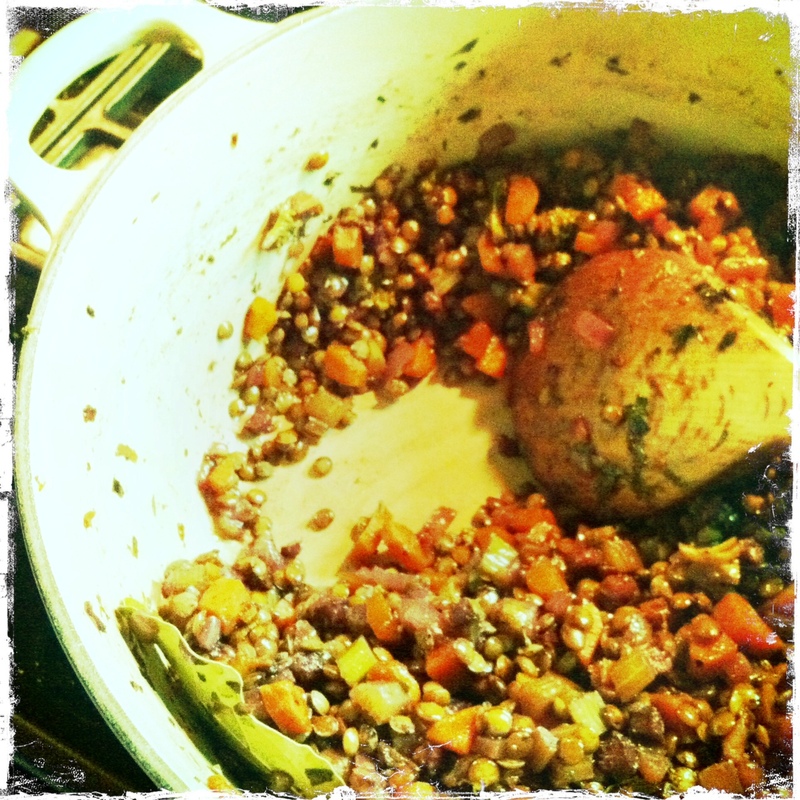 stir in lentils to combine. 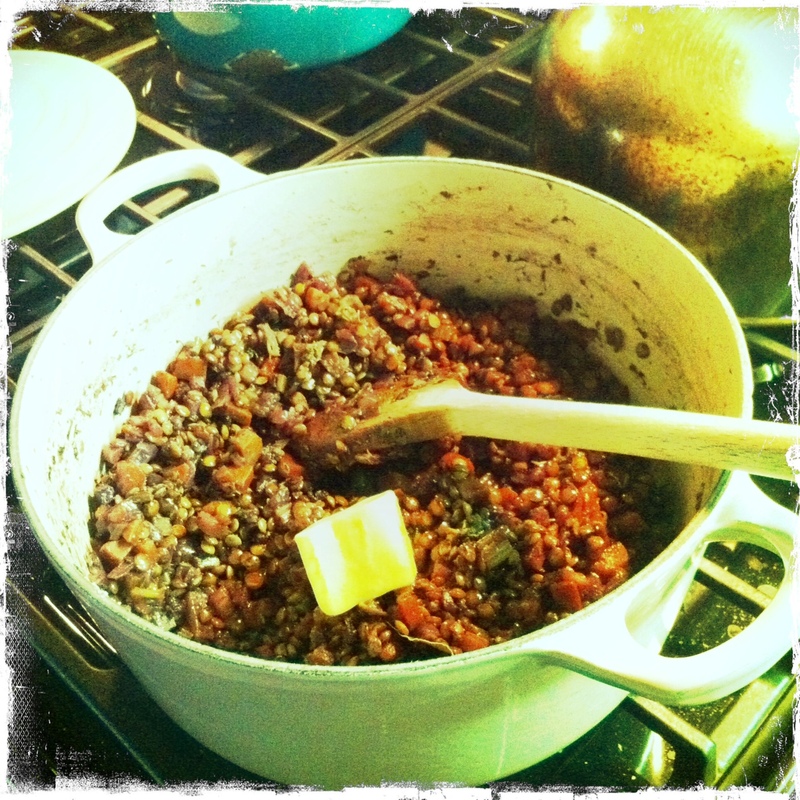 add about 1/3 of the red wine and turn up the heat to medium-high, stirring occasionally. once the wine has been absorbed add another 1/3 of the wine, and let it absorb, about 5 more minutes. 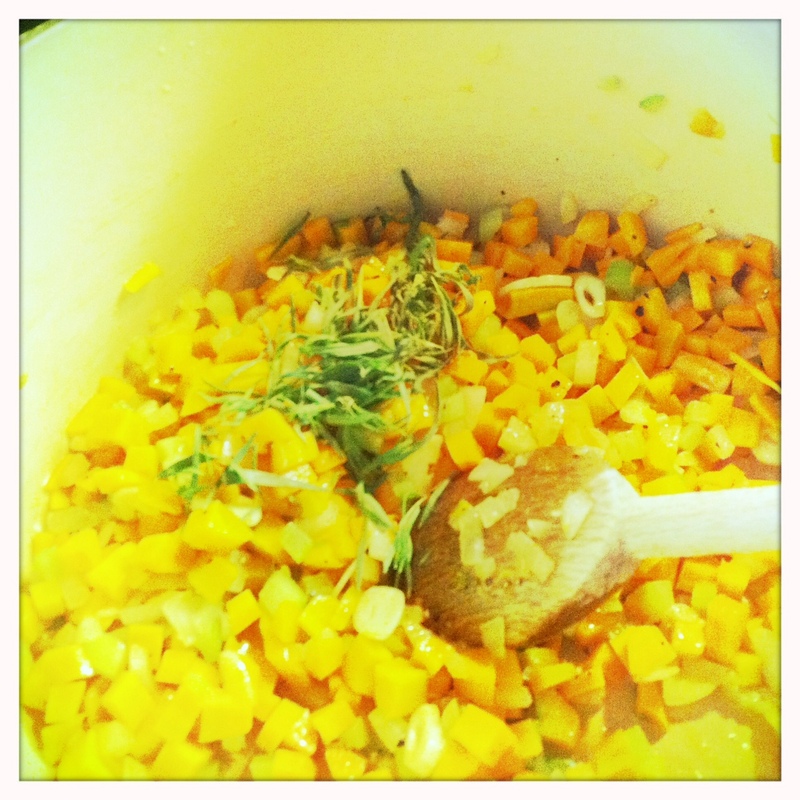 then add the last 1/3 of the wine, and let it absorb. 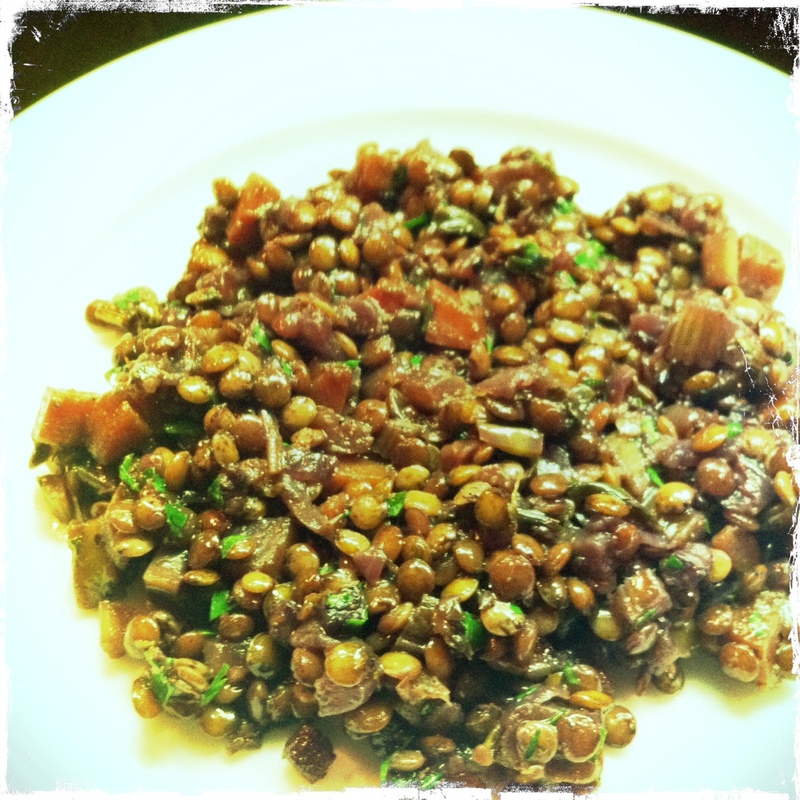 i prefer lentils al dente, not mushy, but you may need to add some water at the end if the lentils haven’t softened enough. 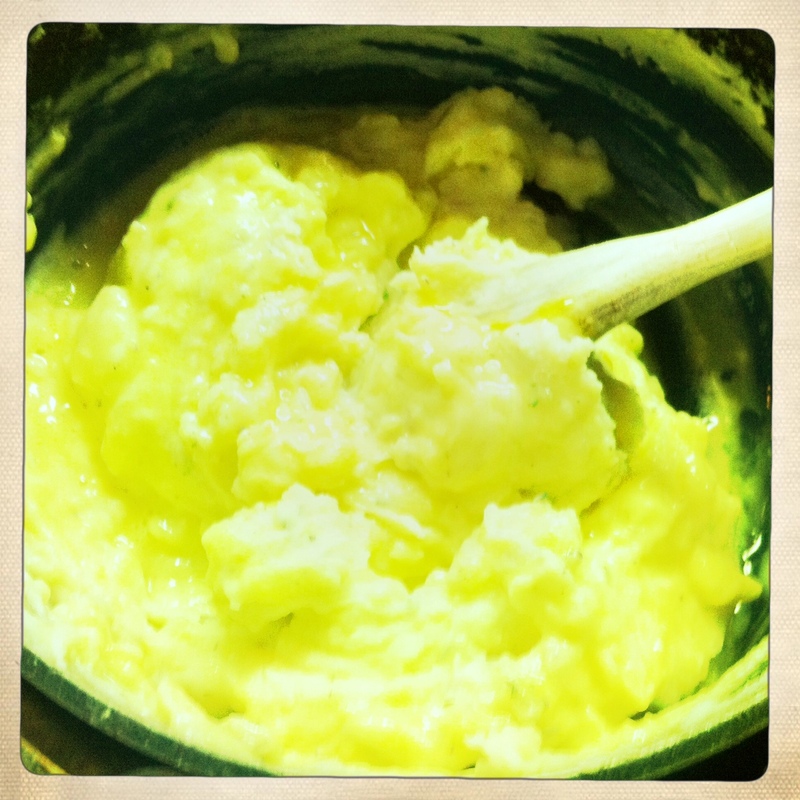 remove from the heat and stir in butter. 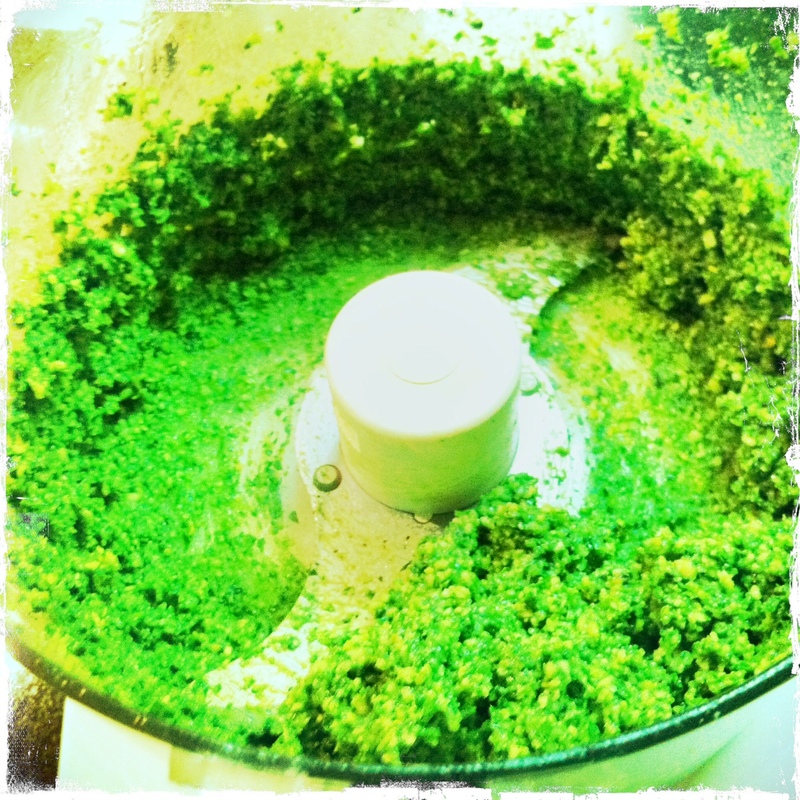 discard bay leaf and toss in parsley. 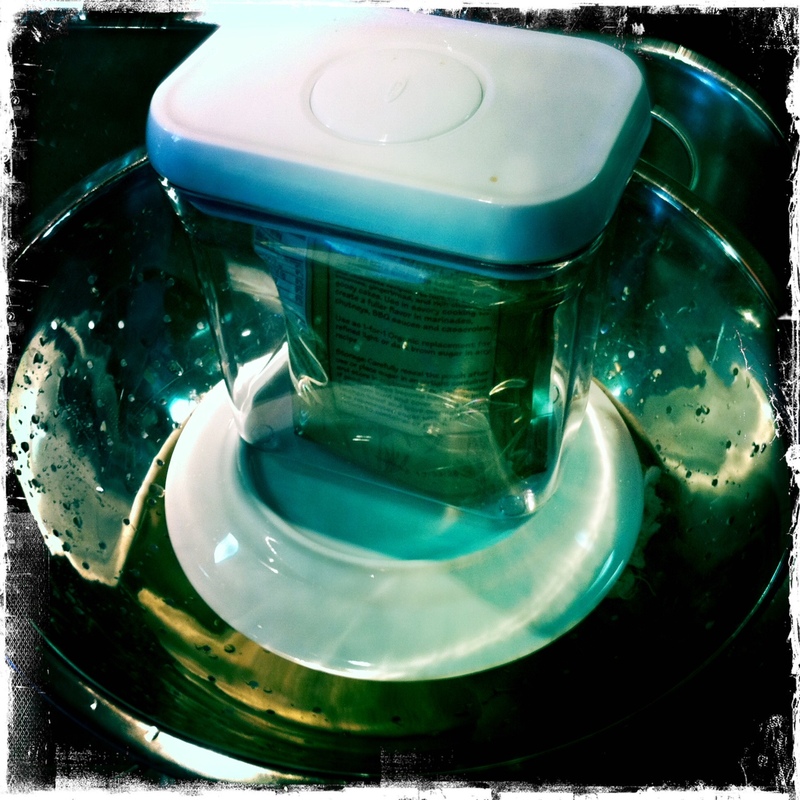 then while motor running, slowly pour the olive oil in until smooth and completely incorporated. yield: about 1 1/3 cups. toss with your favorite pasta, mix with hummus for a dip for pita or chips, or use as an alternative or additional sauce on pizza. now being that all of those diseases mentioned above run in my family, and the fact that i love vegetables, taking meat out of my diet once a week seems completely doable. 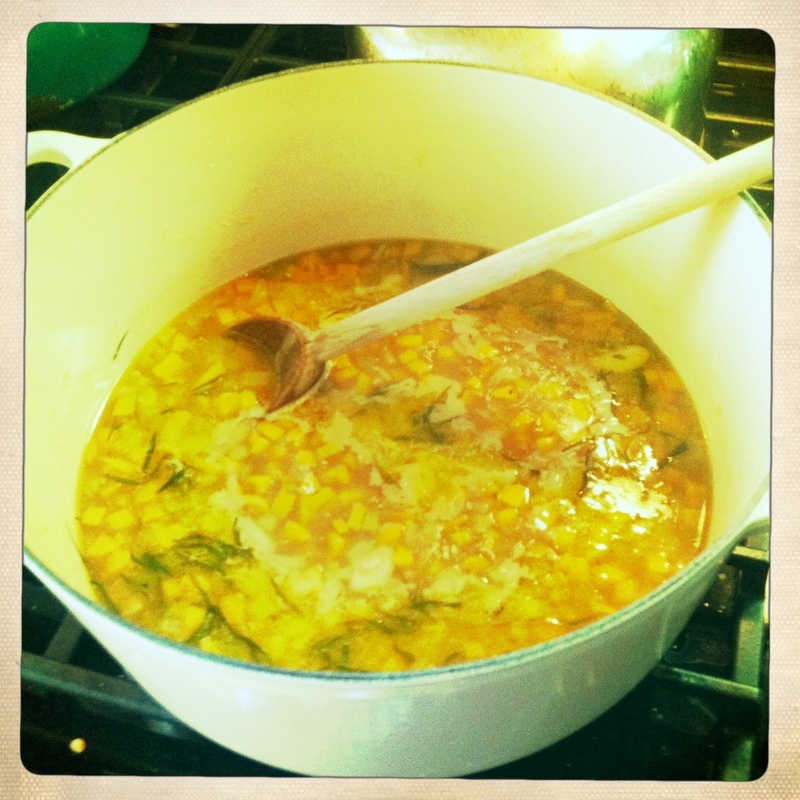 this will be the first of many (hopefully weekly) meatless monday recipes. heat 1 tbsp of oil in a pan over medium heat. 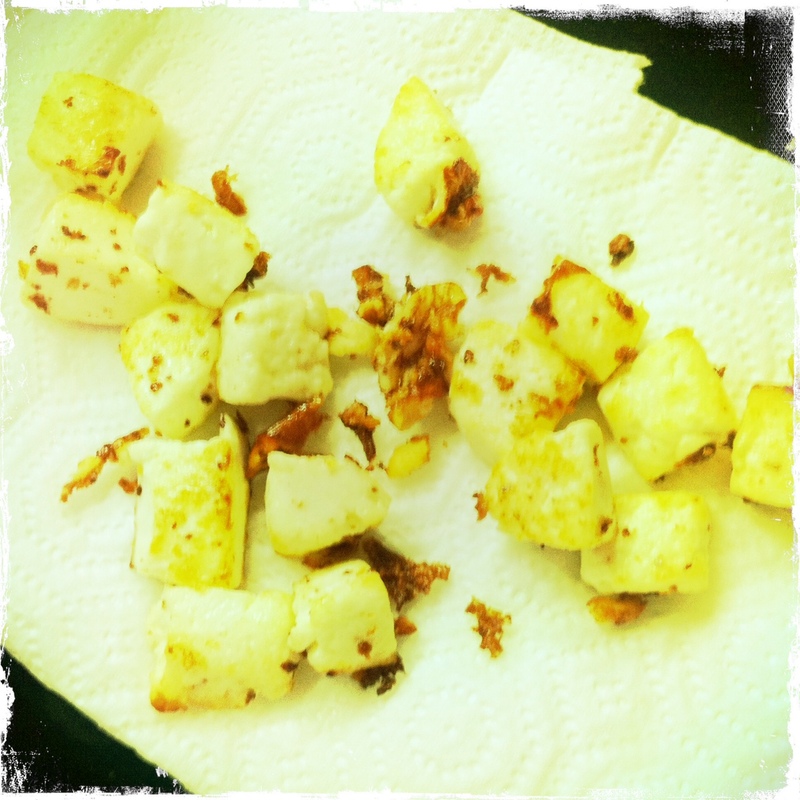 fry paneer cubes for a few minutes until light golden brown. remove from the pan and place on some paper towels to remove any excess oil. set aside. 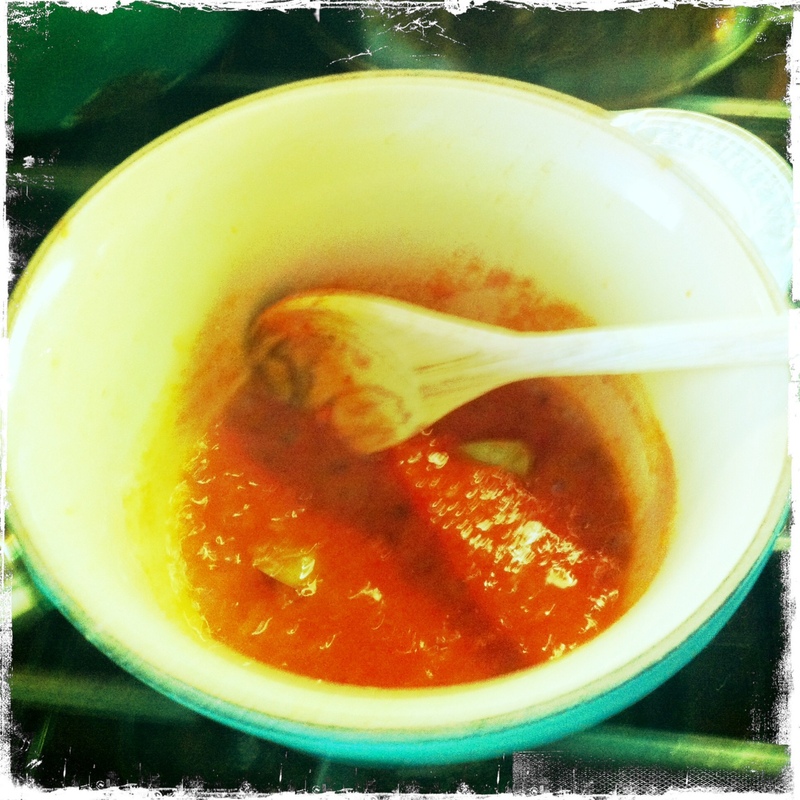 blend the tomatoes and ginger together. heat remaining 2 tbsp of oil in a sauce pan over medium high heat. 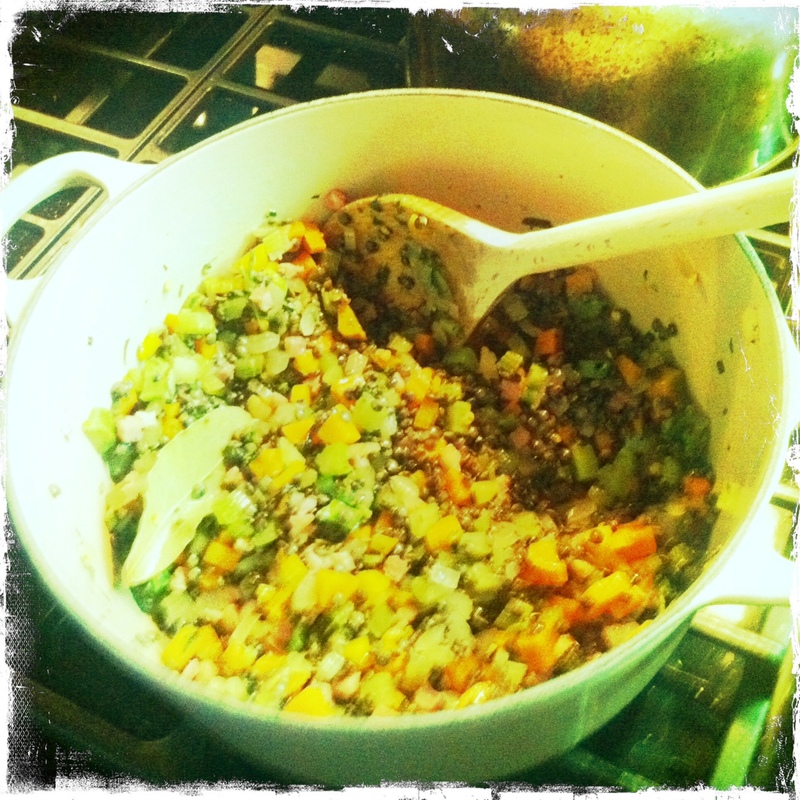 add in the cumin, cinnamon and bay leaf for a few seconds. 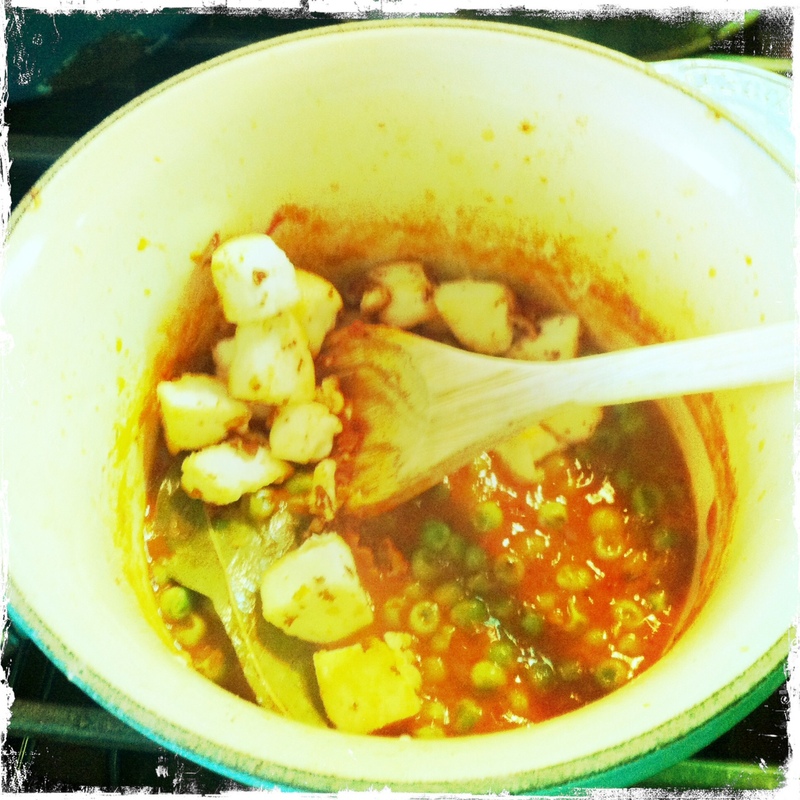 then add the tomato ginger purée and remaining spices and stir for a few minutes allowing it to reduce a bit. 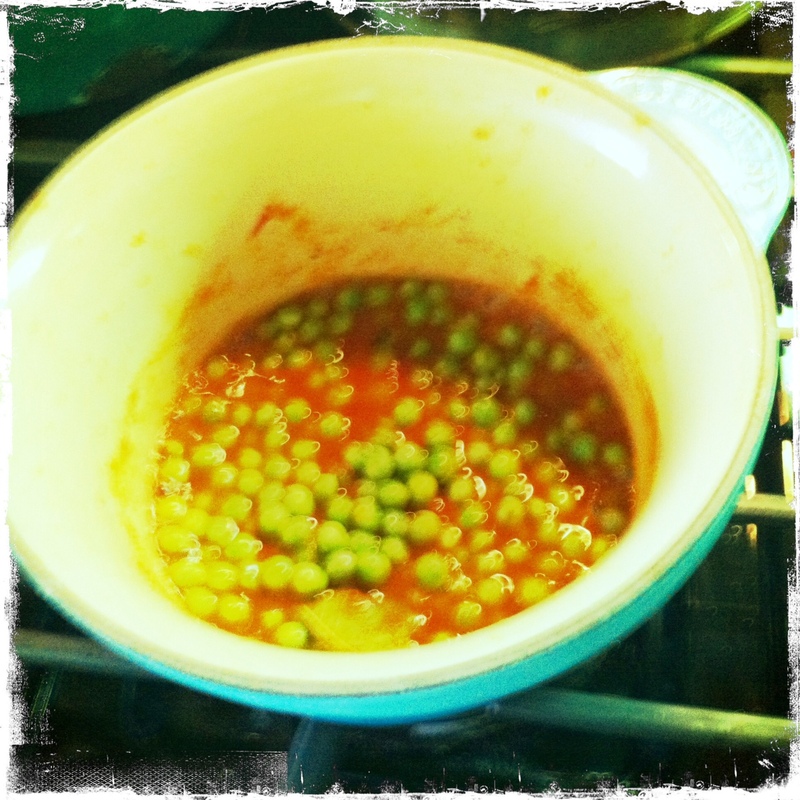 add the peas and 1/4 cup of water and let cook covered over medium heat for a few minutes letting the peas soften a bit. 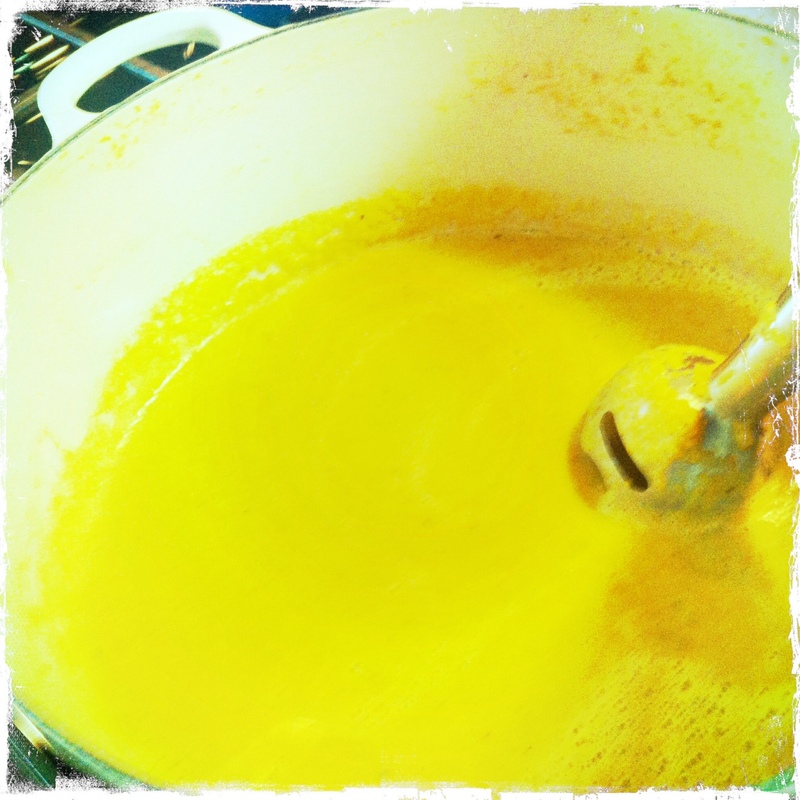 add the cornstarch water mixture and let it thicken up. gently stir in the fried paneer. turn the heat off. 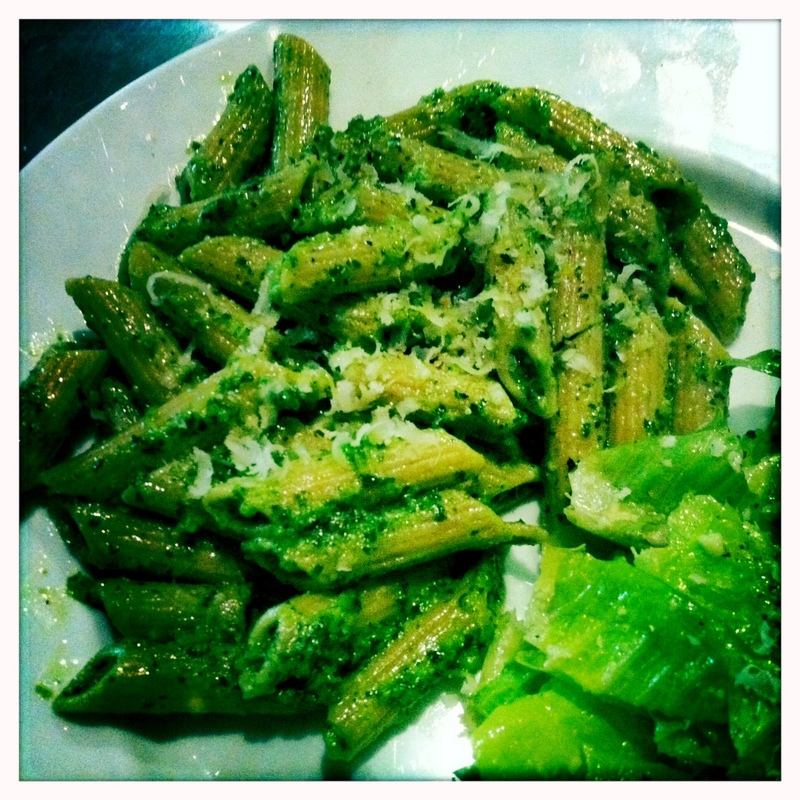 discard the bay leaf, and mix in the cream. i suggest serving over jasmine rice, or as i did today, quinoa. sopping it up with warm naan would be delicious too. 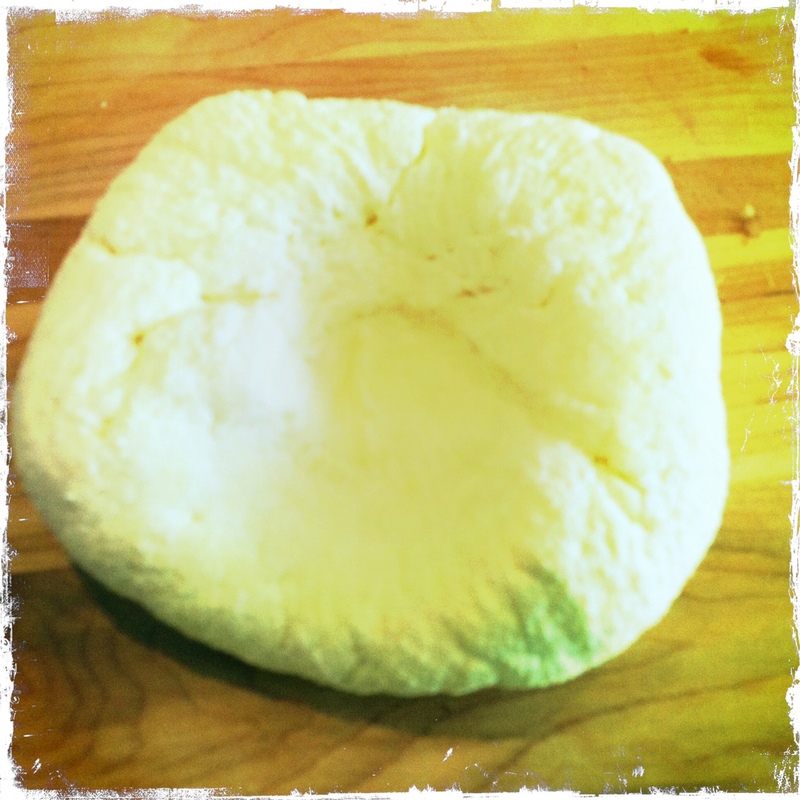 who knew you could make cheese in just over an hour? well, besides many of the 1.2 billion people in india, several other peoples of middle eastern and southeast asian countries, most cheese makers, savvy chefs and a few other food nerds, not many. other than those scant few, i have just become aware of this recently. i was reading omnivorous, a food blog, by a local private chef spencer h. gray, and came across a beautiful picture of a capresesque salad: deep red tomatoes, bright green basil, and what looked to be some sort of cubed mozzarella. to my surprise it was paneer, a cheese that i had only had in the past at indian restaurants. 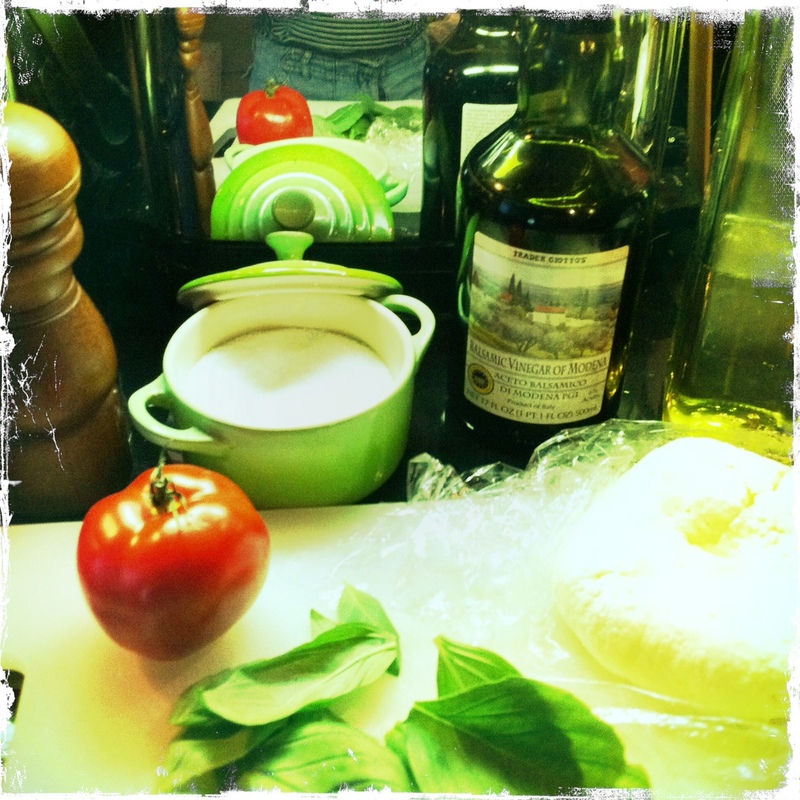 being that one of my favorite ways to use tomatoes in the summer is a caprese salad, i had to try this out. mix the lemon juice and warm water together, and set aside. 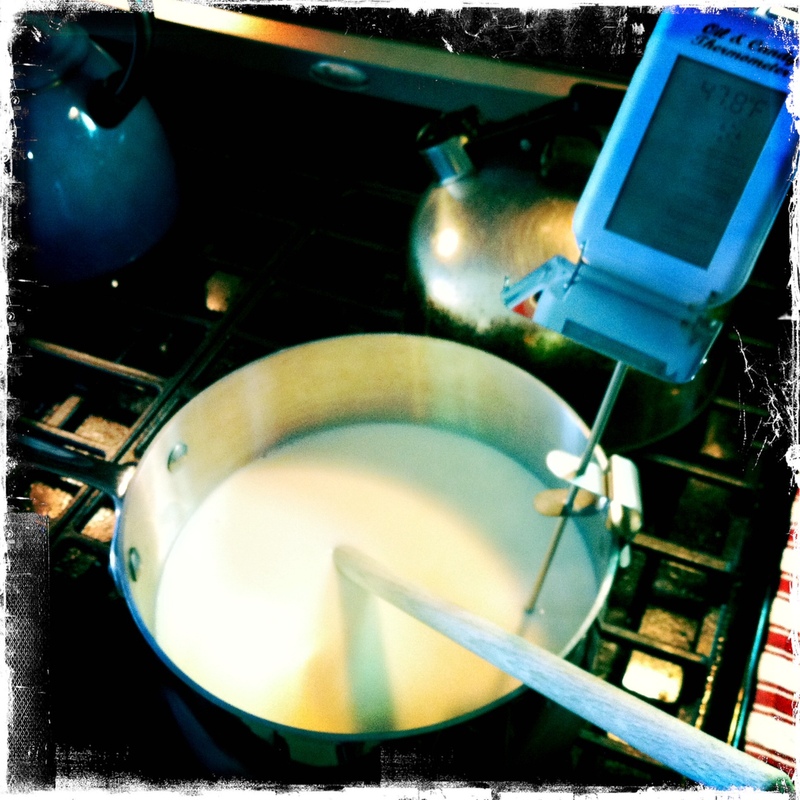 bring the milk slowly to a boil over medium heat in a stainless steel, non-reactive pot (not aluminum). when it reaches 212ºF (use a thermometer), pour the lemon juice water mixture in a slow steady stream while stirring continually and carefully. 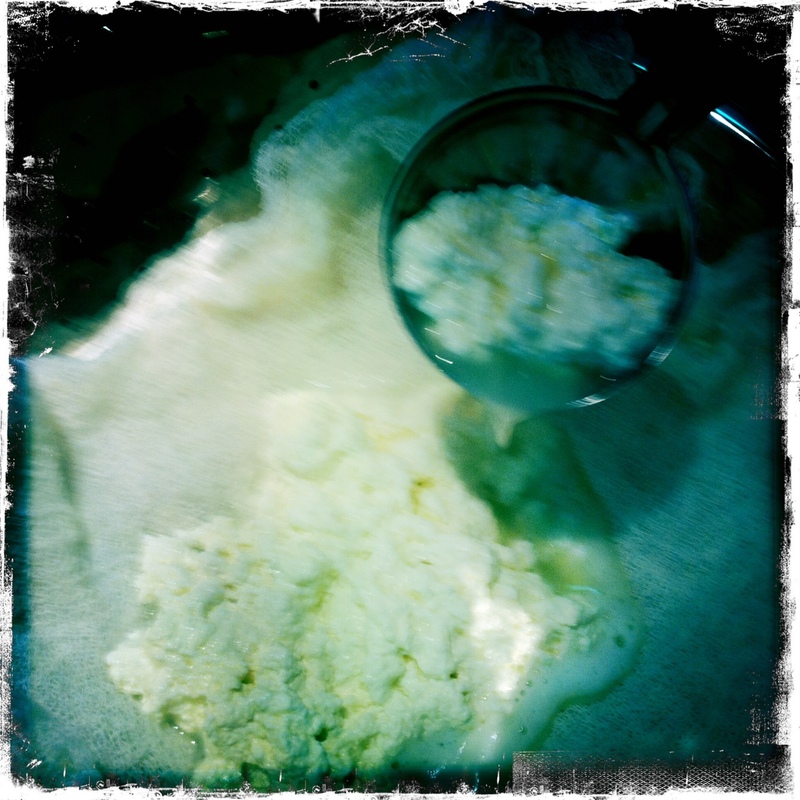 the curd will then start separating from the whey. this is probably about the time you start reciting the old nursery rhyme ‘little miss muffet.’ turn the heat off. line a strainer or colander with a few layers of cheesecloth. 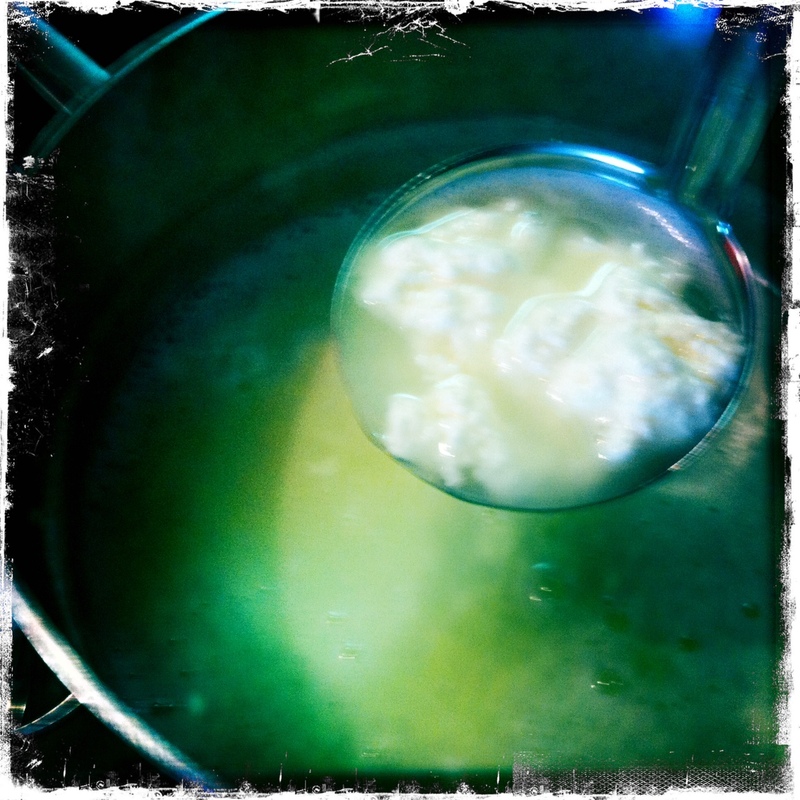 use a ladle and remove the curd from the whey and strain it through the cheesecloth. 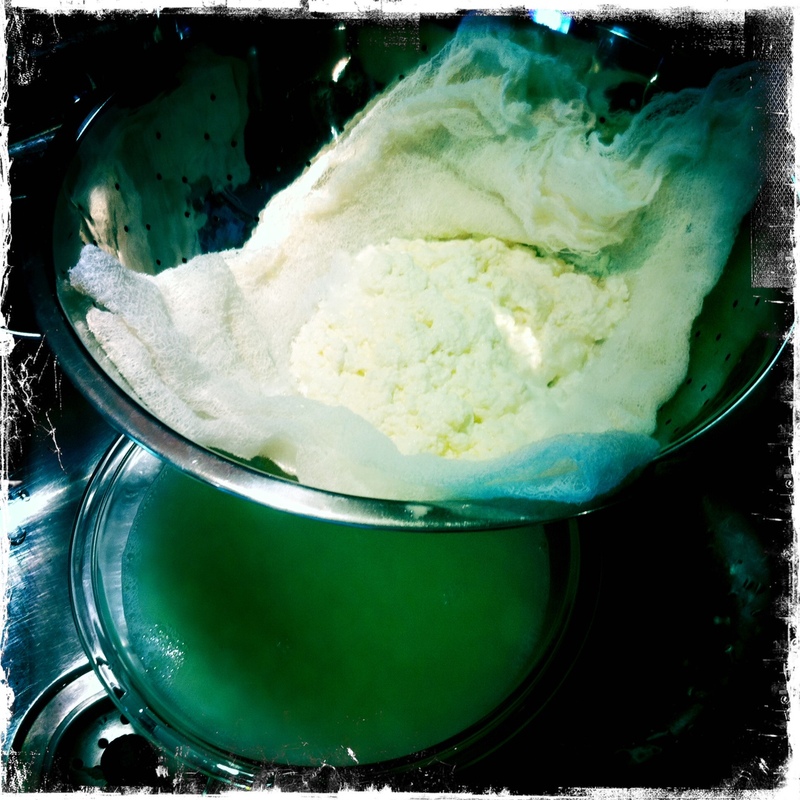 gather the cheesecloth together and squeeze as much of the residual whey out. 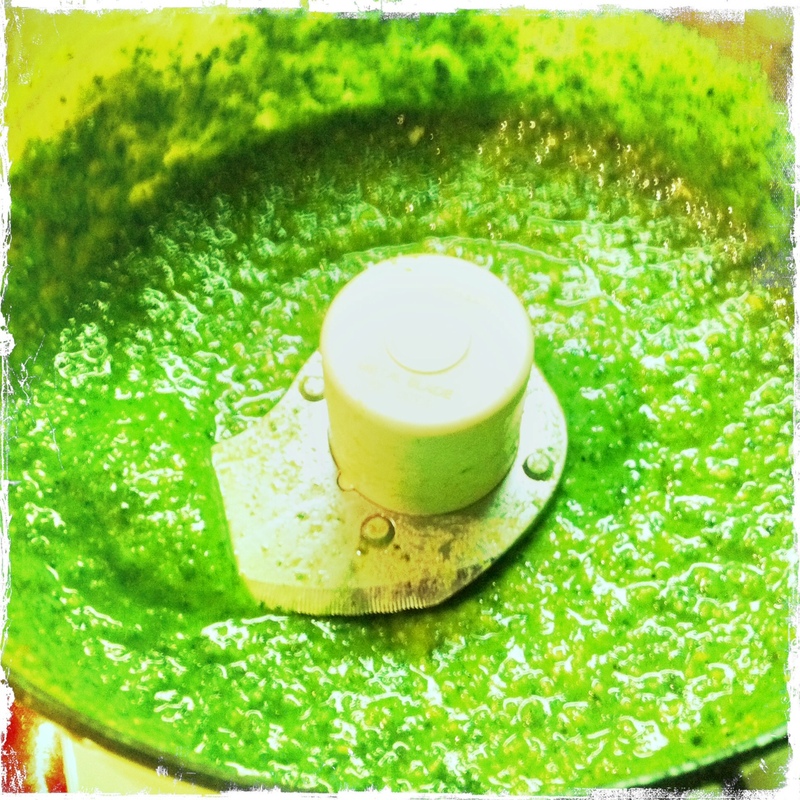 rinse the bundle under cold running water, alternating with squeezing the whey and water out, a few times. when you have gotten as much water and whey out as possible, put the bundle back in the strainer, and put a saucer and something heavy (i used my sugar container) on top for about an hour. 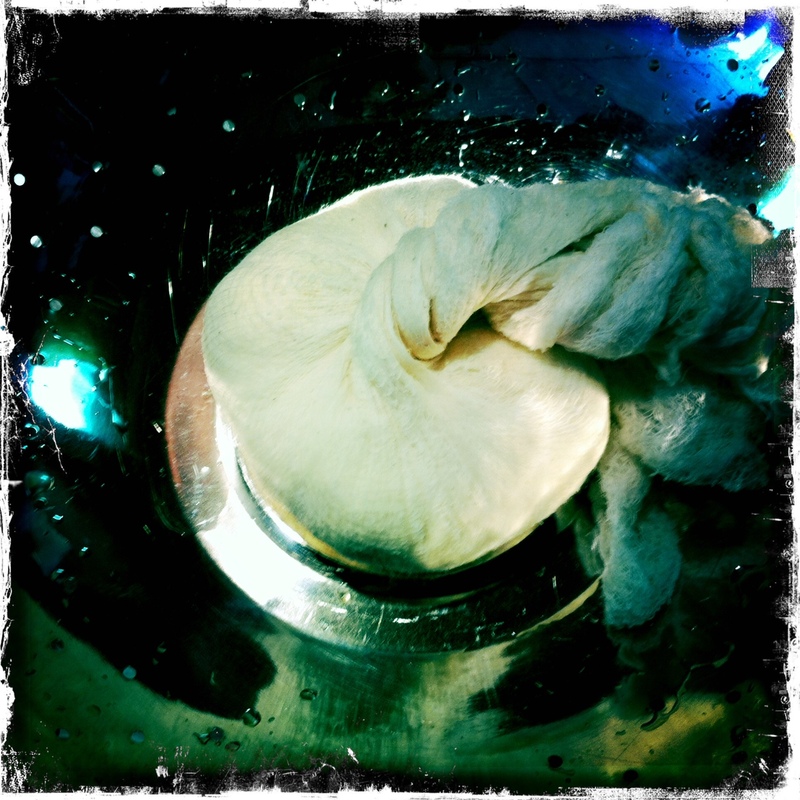 the longer and more you are able to press out the water and whey, the firmer the cheese. unwrap the cheese, discard the cloth, and it is ready to eat. i prefer to refrigerate the cheese in plastic wrap first before cutting into it. 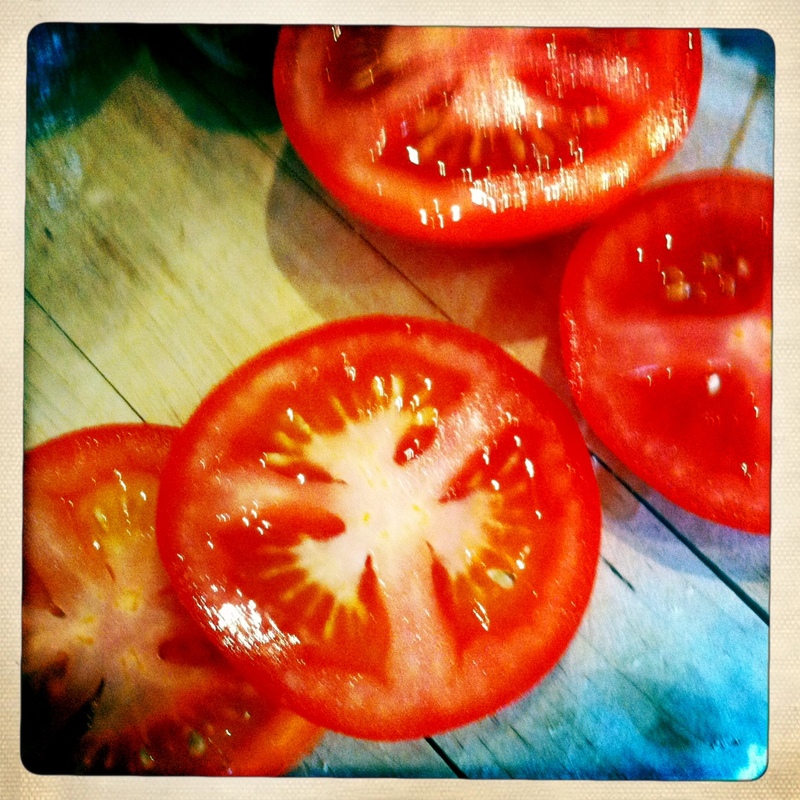 slice the tomatoes thin. chiffonade the basil. 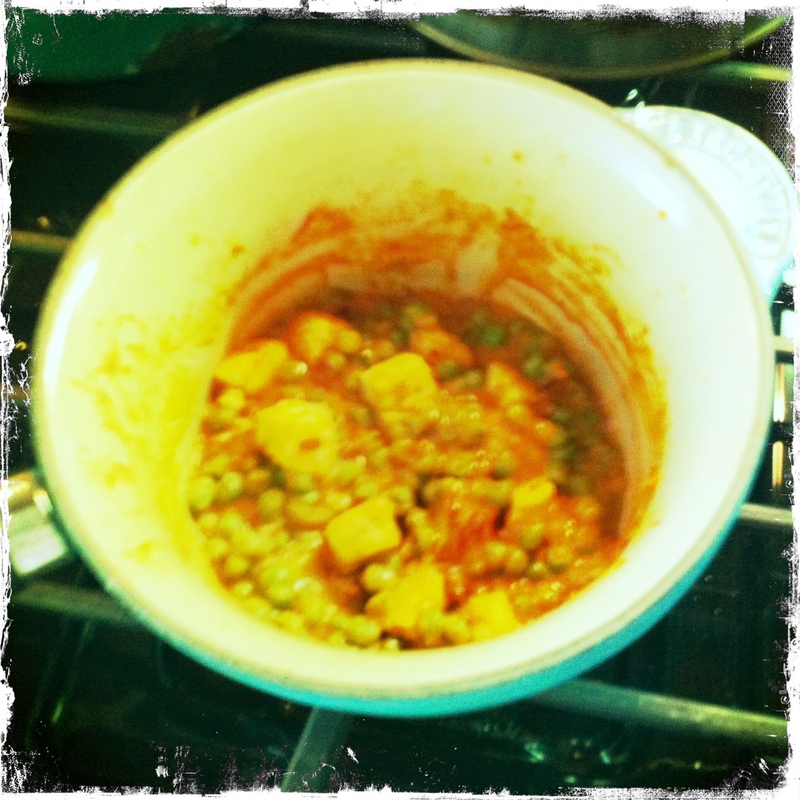 layer the tomato and paneer as you wish, and sprinkle the basil over. 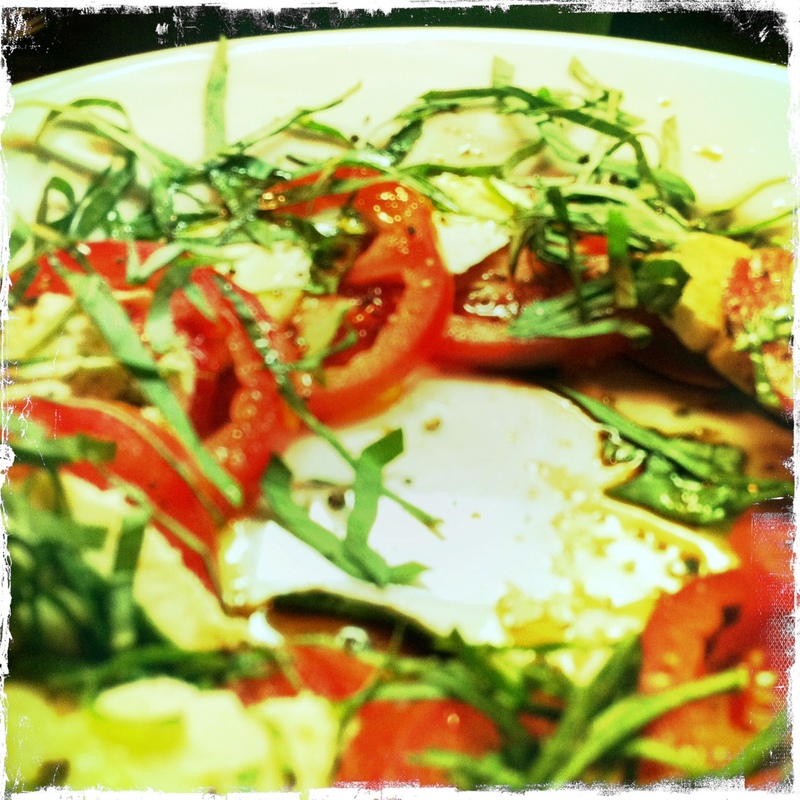 drizzle a little bit of the balsamic and olive oil over the tomatoes and basil. add s+p to taste. it is delicious! 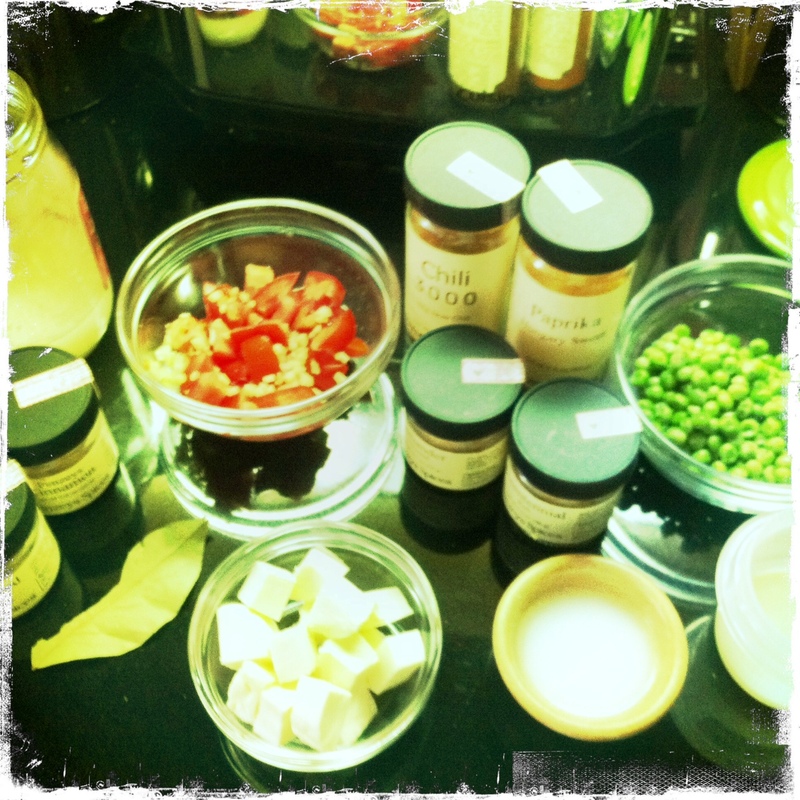 the only thing i might try next time is to get some salt into the paneer, but really, it’s not that important. it was the fall of 1989, i was a freshman at the university of minnesota, and i needed a part-time job. 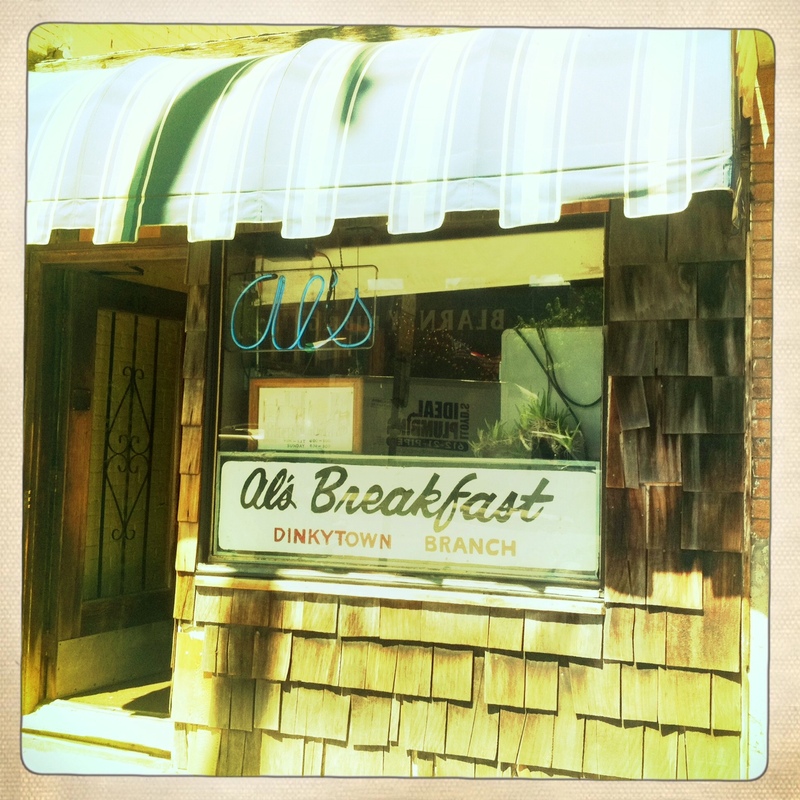 i had a couple friends who worked at a small diner near campus in dinkytown called al’s breakfast. little did i know how this place would help affect, influence, teach, and form me into who i am today. 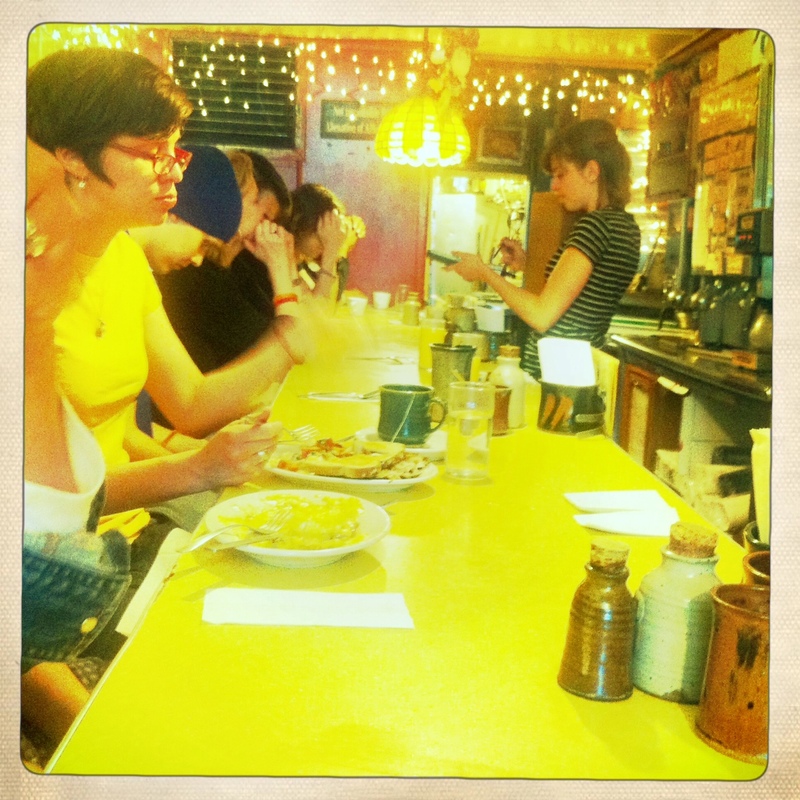 sometimes i think the experiences i had, knowledge i gained, and friendships i made at al’s taught me more than anything i learned in college, and not the least of which was how to cook. i worked on and off there for the next 7 years. even when i moved away and came home for holiday visits, i would go in for breakfast and they would need someone to pick up a shift. i’d take it, not for the money, but just to be apart of the al’s experience again. needless to say, every trip i make back to minnesota, i make sure i get into al’s at least once. this past weekend was no different. 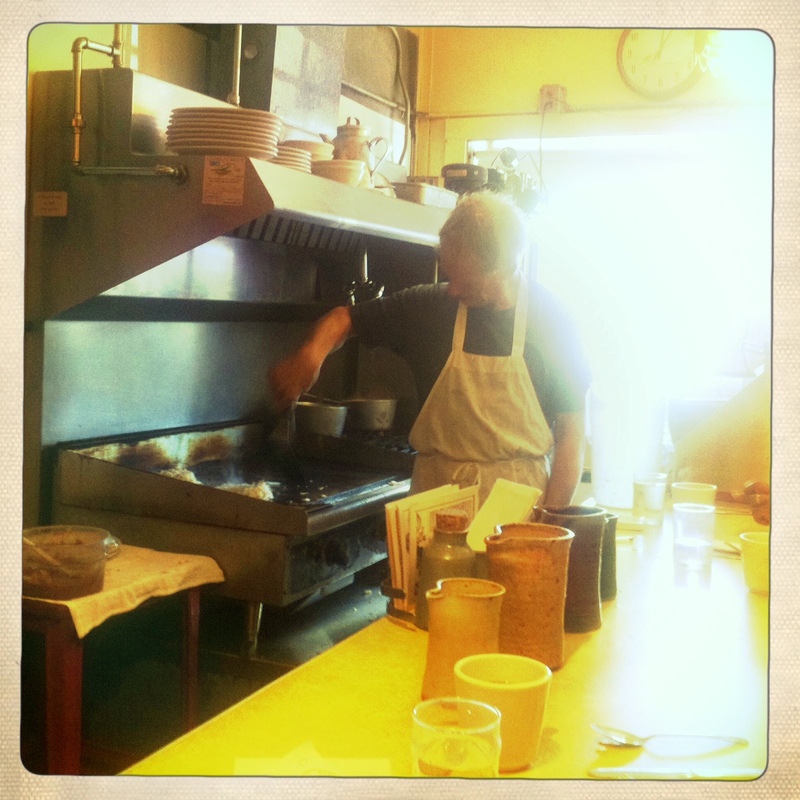 al’s has one long counter with 14 stools. that’s it. customers queue up behind those sitting at the counter and wait until a place opens up, with the first person in line to be sat first. the exception being if a ‘single’ opens up and more seats aren’t opening up soon, you are allowed to sit prior to those in front of you, but always refer to the employees behind the counter for direction. they will have no qualms telling you how things work, especially if they haven’t had their coffee yet. there is one grill in front, and one 4-burner stove in back, with a cook at each. there is one dishwasher, and depending on the day, one or two people working the counter. there is no oven, microwave, or freezer. to say this place is small is an understatement, and storage is non-existant, so food is prepped as it used. the vegetables are fresh, which means not only are your mushrooms, peppers, onions, etc cut up in small amounts to be stored and used as needed, it also means hash browns are made from boiling potatoes and hand grating them, and the corned beef hash is made from those very same potatoes. the menu has changed very little over the years (even the prices rarely go up), and consists of the usual eggs, pancakes, waffles, hash browns, bacon and sausage. there is toast, but no bagels, muffins, or other pastry items. they keep it to the basics and do it well. i order my usual 1/2 bacon benny with a side of corned beef hash, and coffee. 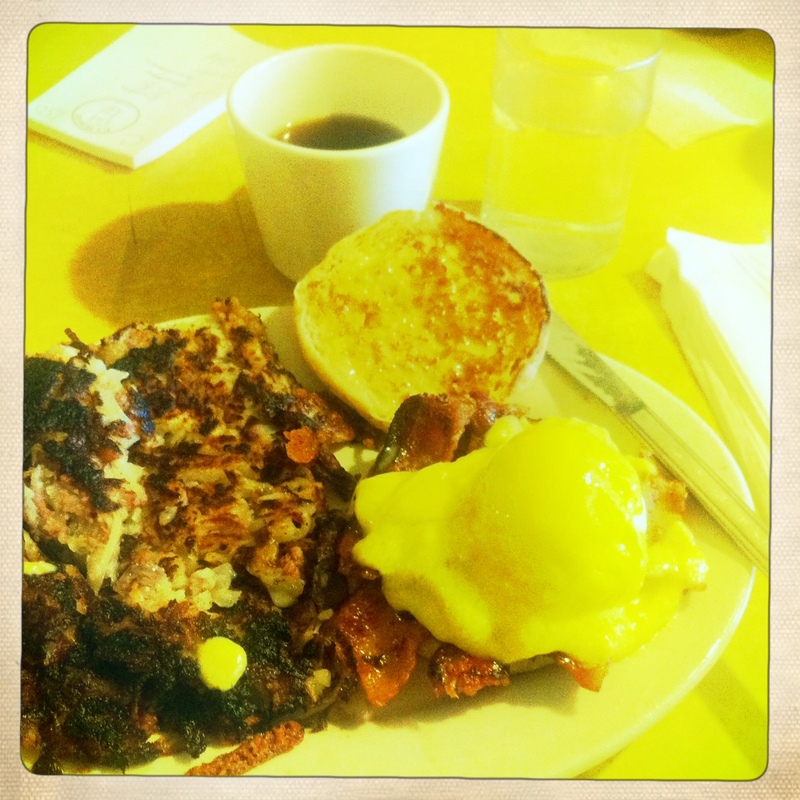 to this day, i have not found anywhere that does hollandaise as good as it is done at al’s. they make it in such big batches, so scaling down the recipe would be difficult, but i did find a recipe from tyler florence on foodnetwork.com that comes close (minus the cayenne and add more lemon juice). if i am not completely full, i will order a short short whole wheat wally blue, which in translation is one whole wheat pancake with walnuts and blueberries. your order is written on a small pad in front of you, in an al’s shorthand of sorts, and is yelled out to the front cook. the shorthand can vary from person to person, but if the cook needs a reminder of the order, they can just take a mere glance at the pad and know what they need to make. 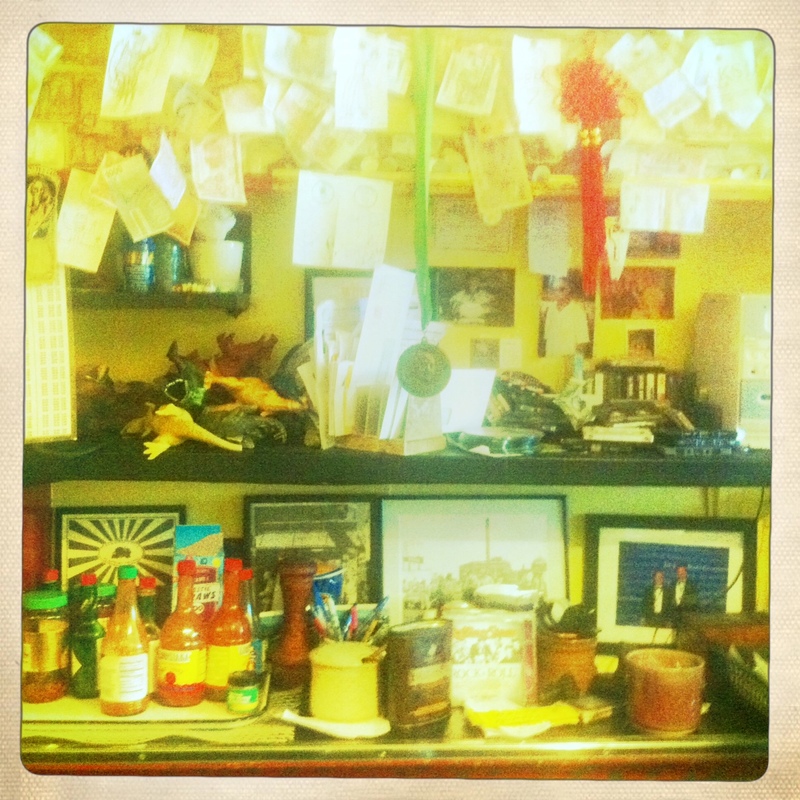 in 2004, al’s was given a james beard award, and it hangs proudly behind the counter, to the left of the cash register, near the plastic dinosaurs, above the condiments, and among the many pictures, foreign currency, and knick knacks accumulated throughout the years. a few years ago they were on an episode of diners, drive-ins and dives which will give you a better feel for what it’s like inside al’s. when i went in this past weekend, i was happy to see my old boss, one of the owners, doug grina at the front grill. he gave me a big, wet, sloppy, salty kiss over the counter and we caught up between him barking out orders to the back room and cooking hash browns, pancakes and of course my delicious 1/2 bacon benny, and side of cbh. i often still recognize regulars. on this day it was the cranky guy who always ordered the 3 egg israeli, and john (an old friend of the owners) who comes in the back door, pours himself some coffee, chats with customers and employees, helps out a bit delivering plates, and most likely gets a free breakfast in exchange for a nice addition to the communal tip bowl. doug and his business partner jim have been the owners since before i started working there, well over 20 years ago. both of their sons, who i remember as just wee lads and are young adults now, happened to be working there that day too. doug’s daughter has also done some time behind the counter. as i was just about to leave, doug’s wife susan, who also worked at al’s in the era that i did, showed up with a friend. i did a double take it had been so long, but it was so nice to see her. as my friend and i slipped out the front door, i can only hope they were able to take our seats, because i didn’t notice if there was anyone in line ahead of her, and relatives and friends don’t get special privileges. they would have to wait just like everyone else. my visits to al’s will always remind me of the many memories and friends i have there, but that day it showed me that al’s not only runs in the family, it is family. a very big family.